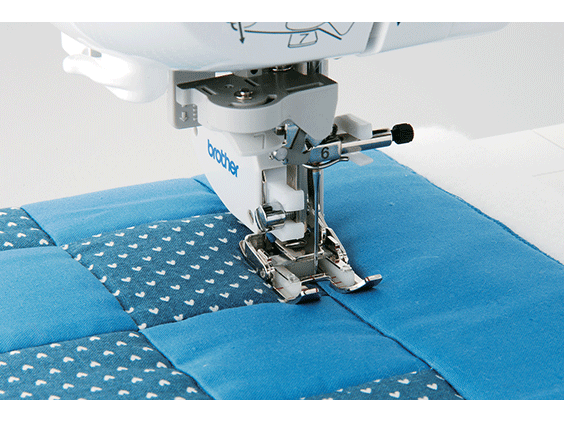 DreamWeaver XE is the exciting new mid-priced combination quilting, sewing and embroidery machine, which is downright dreamy – revolutionary technology, reliability, and ease of operation make this the perfect addition to create projects you've always dreamed of, all while adding a touch of sophistication to your sewing room. 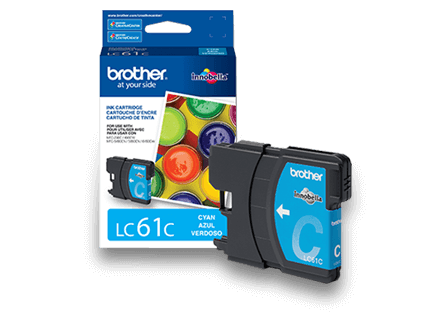 This exciting combination machine is packed with Brother-exclusive and industry-first features. 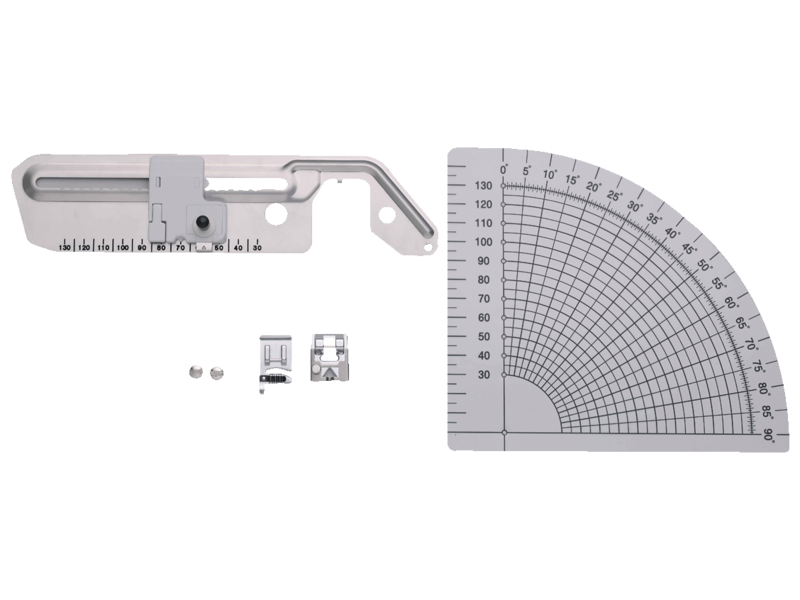 A new chassis gives 5.0'' x 11.25'' of workspace – our biggest work area ever! 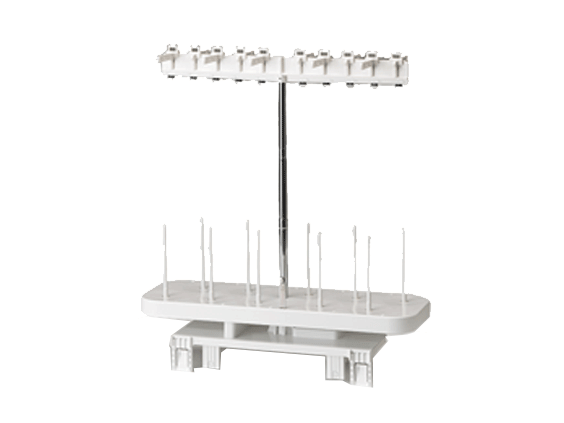 Featuring 10'' LED lighting for brilliant, full spectrum lighting. 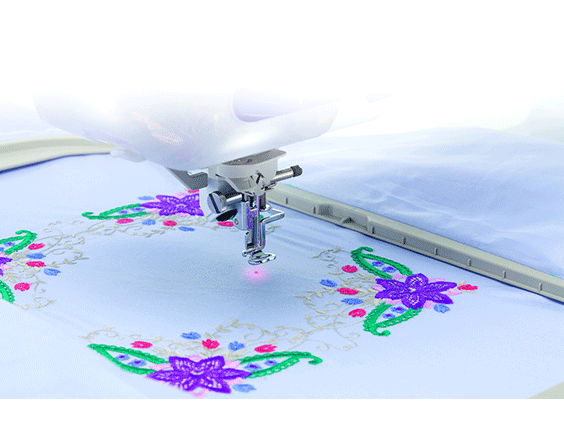 With up to 1,050 stitches per minute, you will be creating more works of art in less time. 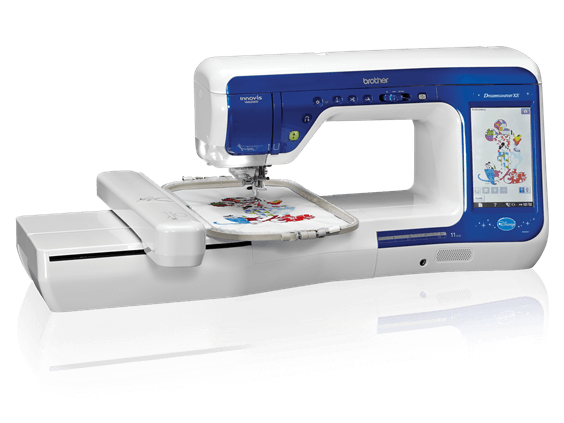 The V-Sonic Pen Pal is available for sewing and embroidery. 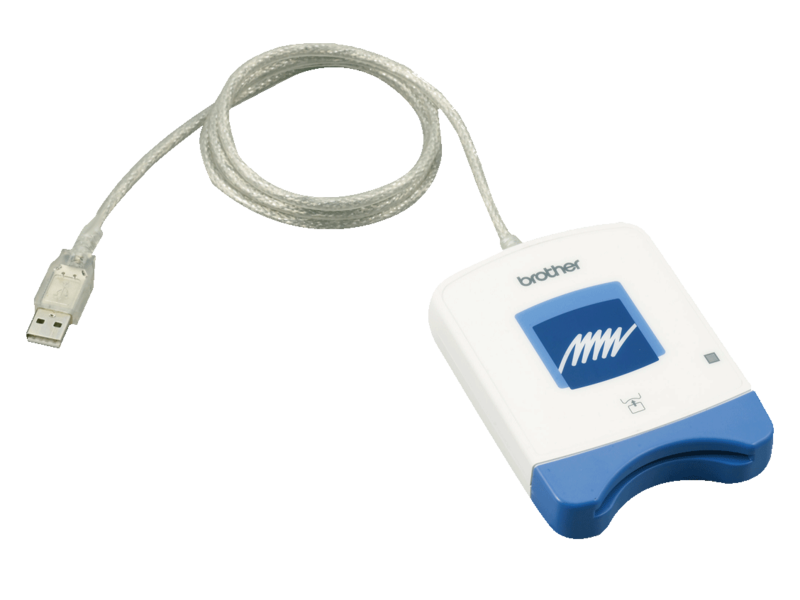 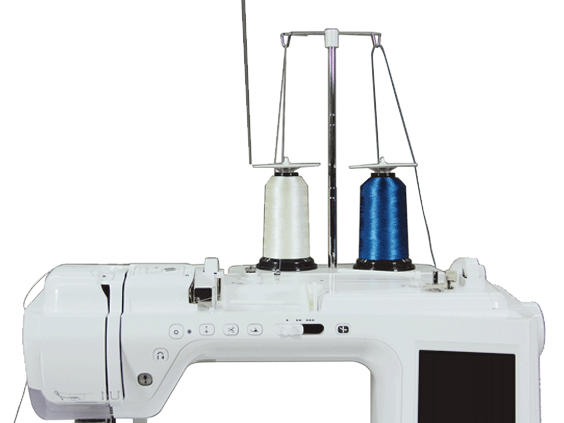 Simply touch the fabric with the sensor pen to place an embroidery pattern or place the needle, setting the stitch width and setting the end point. 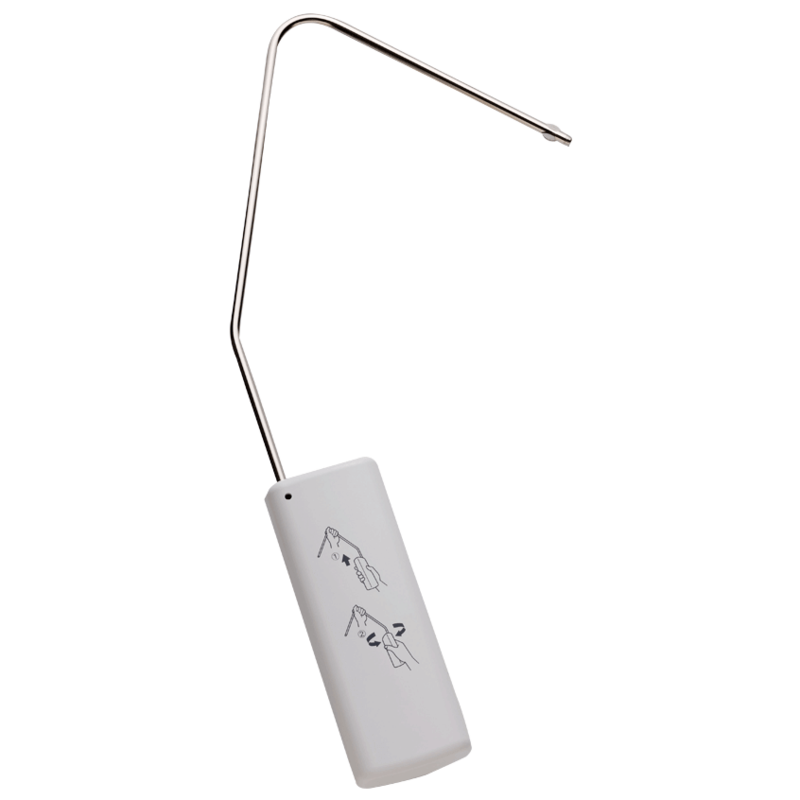 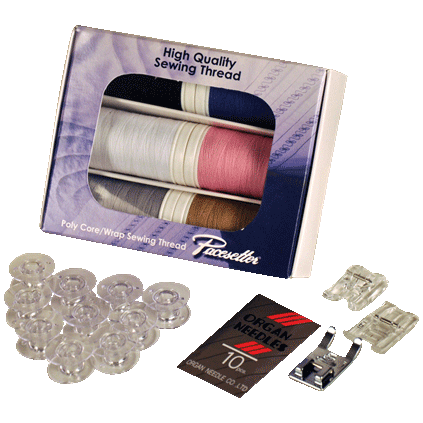 Sew Straight Laser Vision Guide makes it easier than ever to sew straight lines. 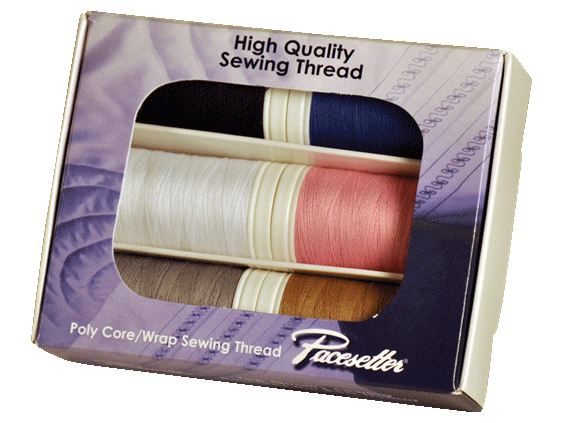 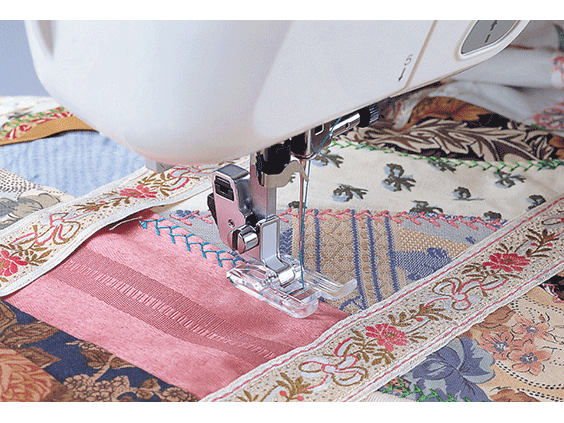 A huge benefit when quilting, piecing, pintucking and aligning rows of stitches. 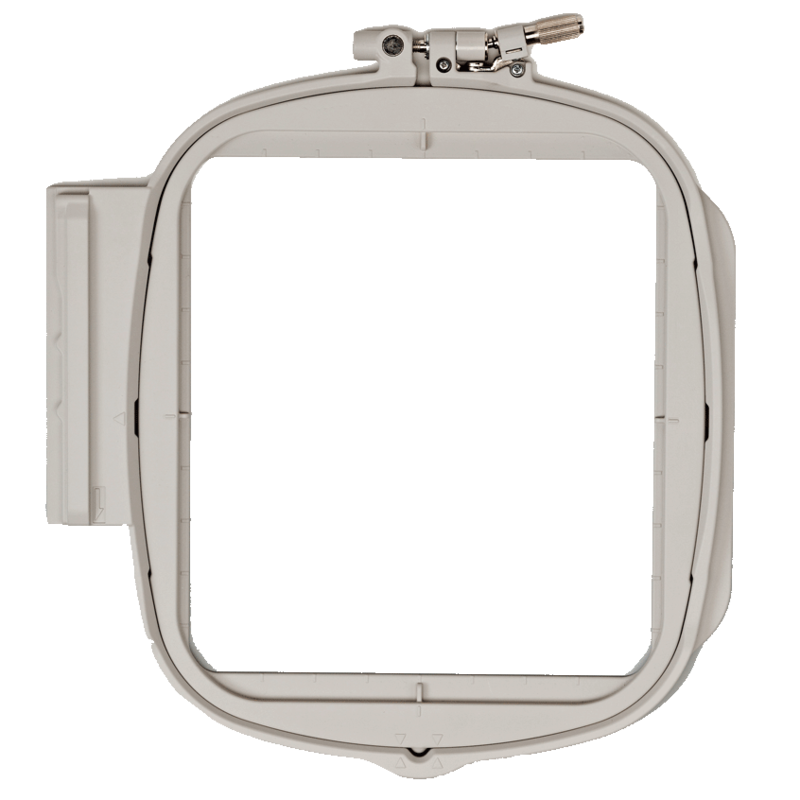 Become a master by watching onscreen tutorials with the large LCD touch screen display which offers vivid, crystal-clear lucidity. 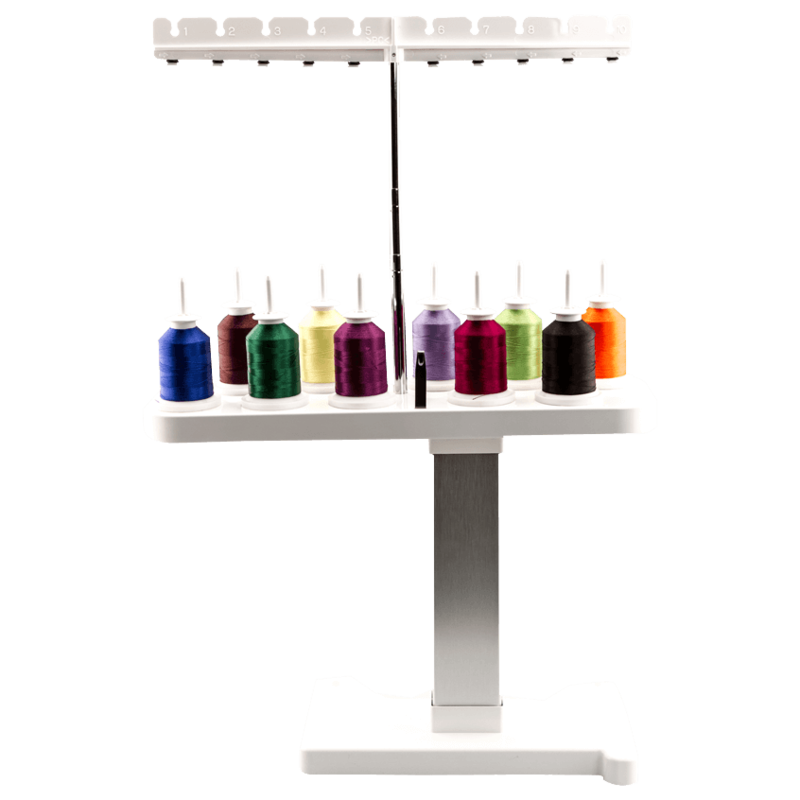 If all the industry-first features weren't enough to make your dreams come true, this machine also has many exciting features that customers have come to love like the Automatic Height Adjuster™ AHA feature and automatic needle threading. 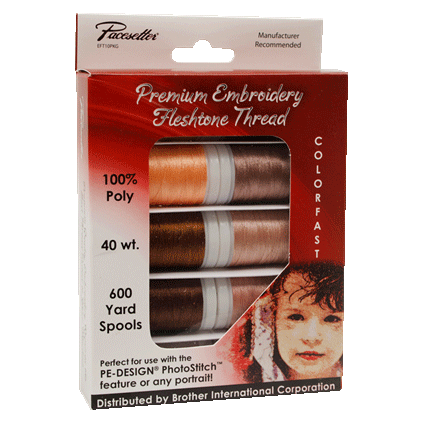 Plus, this machine is iBroidery ready so you have access to thousands of embroidery designs available for purchase. 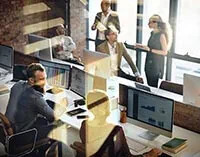 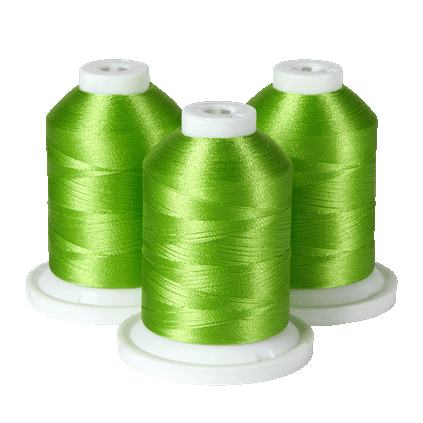 Tackle bigger, bolder projects than you may have ever dreamed of with DreamWeaver XE! 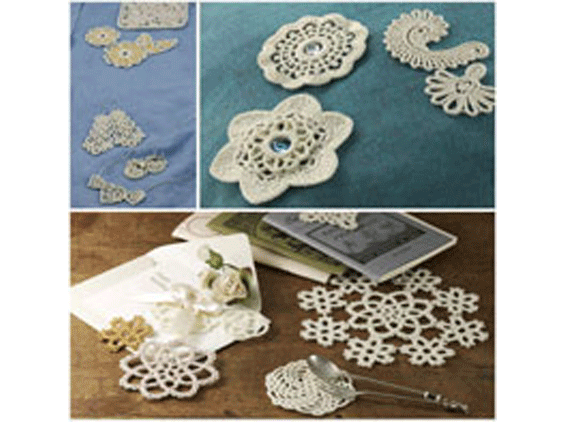 28.875" x 23.0" x 22.5"
Create elegant, cutwork-like lace embellishments with this unique collection of forty-five embroidery designs. 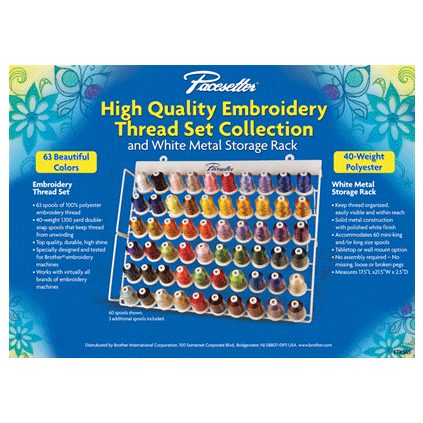 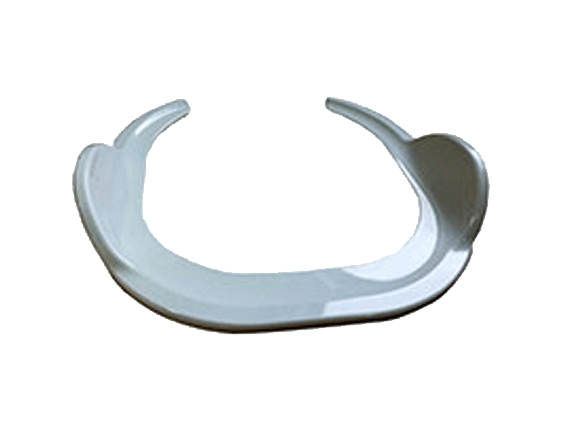 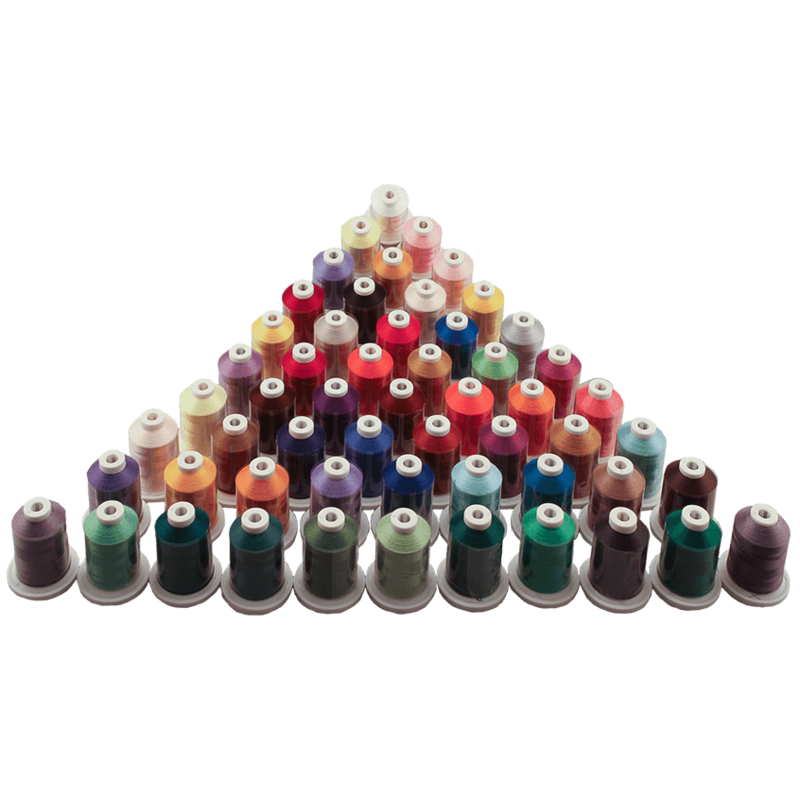 Perfect for adding a custom touch to linens, clothing, crafts, and more! 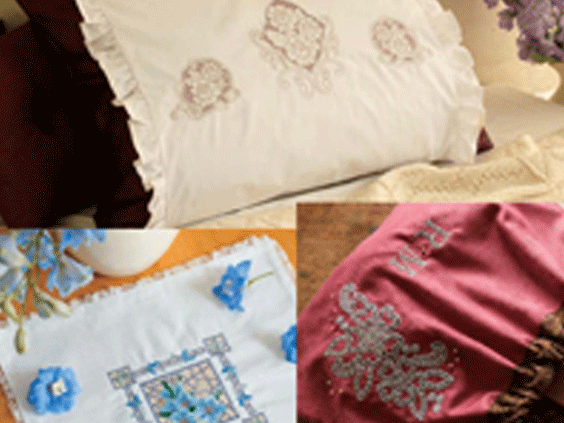 Included are 10 traditional cutwork designs, 8 color cutwork designs, 26 monogramming character designs, and 1 frame pattern, all in .pes files. 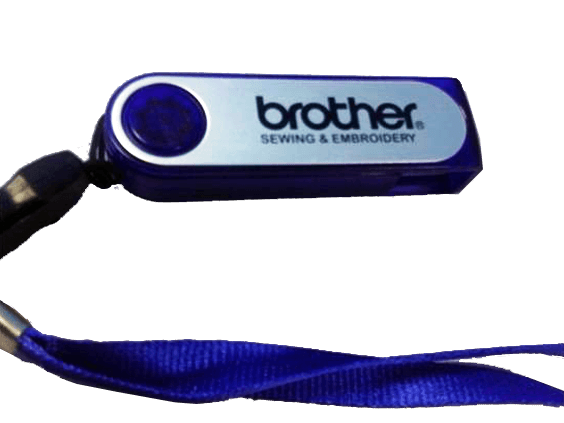 The .PES files are ready for Brother machines and may be converted to other embroidery formats with most embroidery software.Includes USB stick containing 45 embroidery designs; 39 designs for use with a 4”x4” hoop, and 6 designs for a 5”x7” hoop. 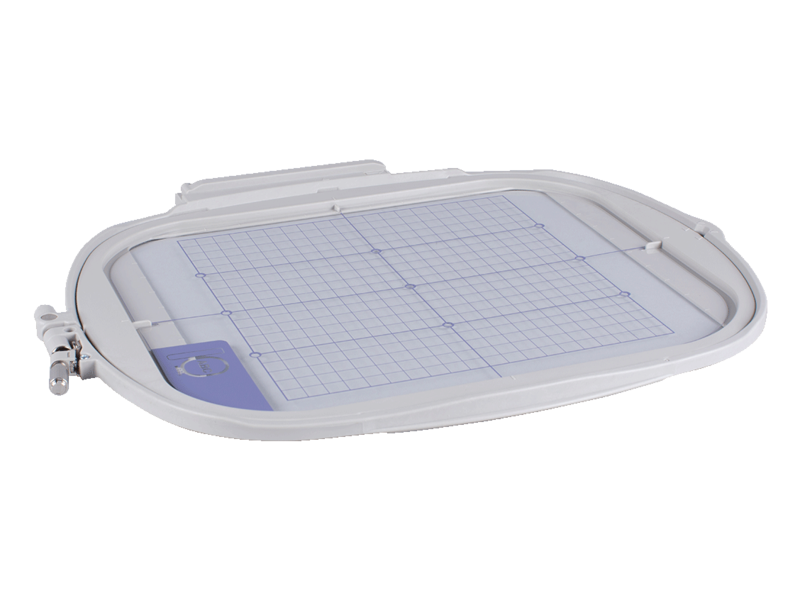 These easy-to-use adhesive backed markers make positioning even easier. 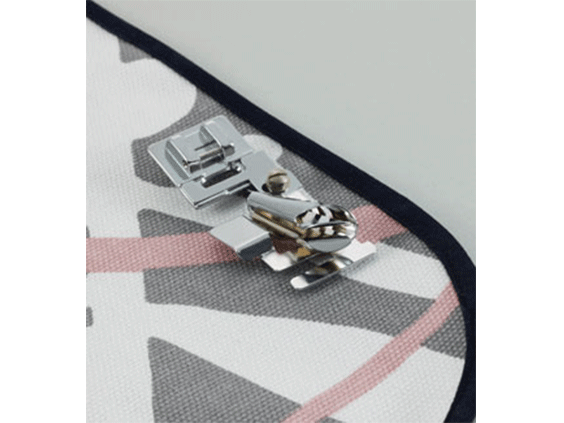 This unique positioning marker is placed on hooped fabric so the InnovEye Technology can capture the exact positioning for the embroidery. 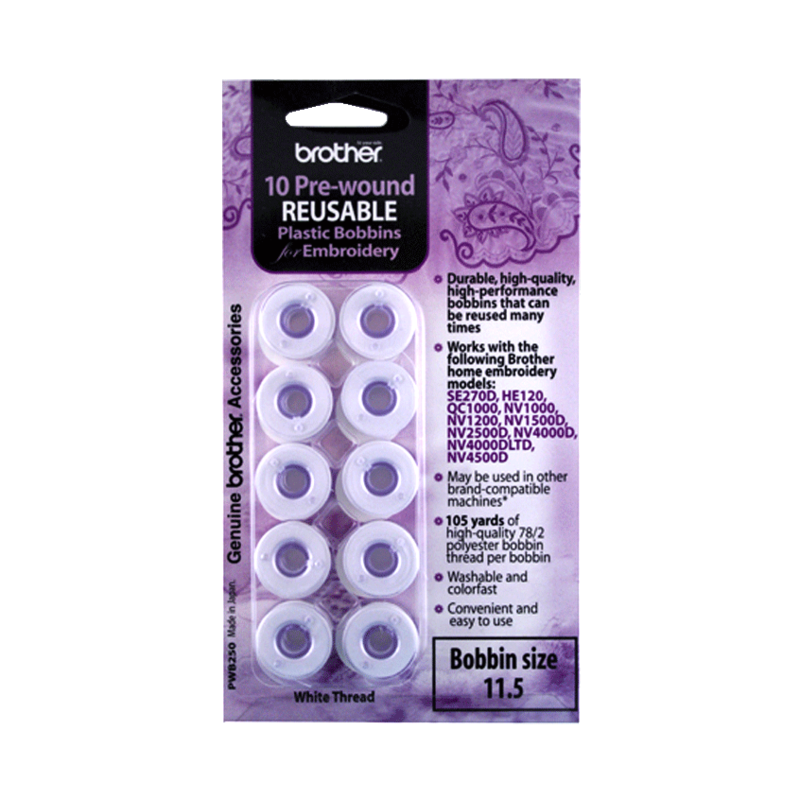 Markers are removable and semi-reusable. 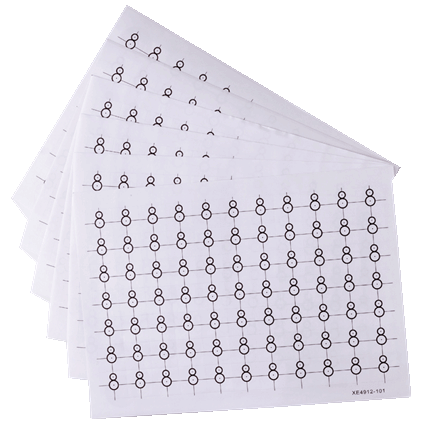 Includes a total of 462 markers (77 markers x 6 sheets). 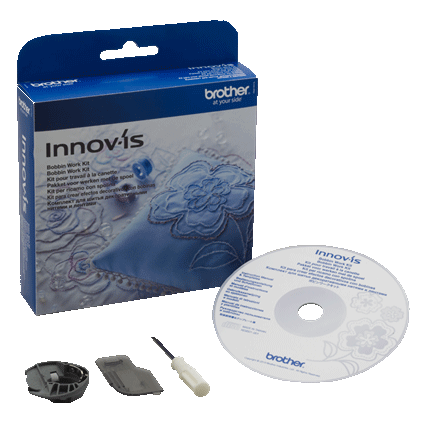 Snowman Embroidery Positioning Marker works with the InnovEye Technology in the Quattro 6000D only. 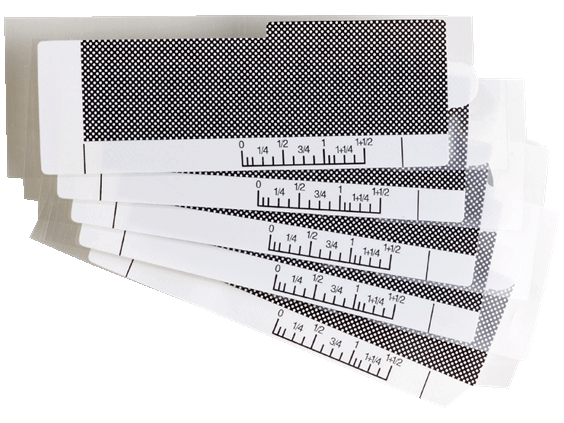 These adhesive backed markers should not be reproduced or reprinted as they are made to exact specifications and the use of copies may affect the InnovEye Technology's capability to properly sense the markers. 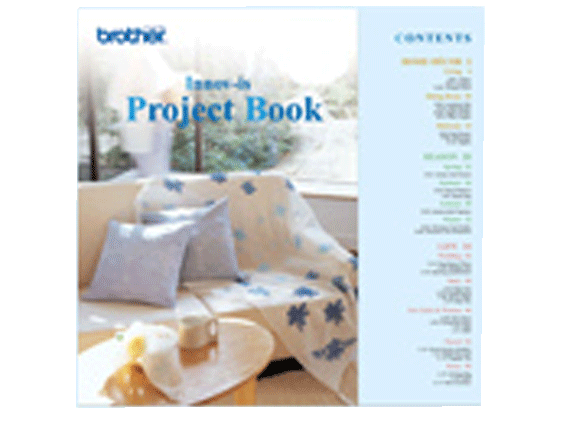 Filled with so much inspiration, our new project book is sure to please everyone. 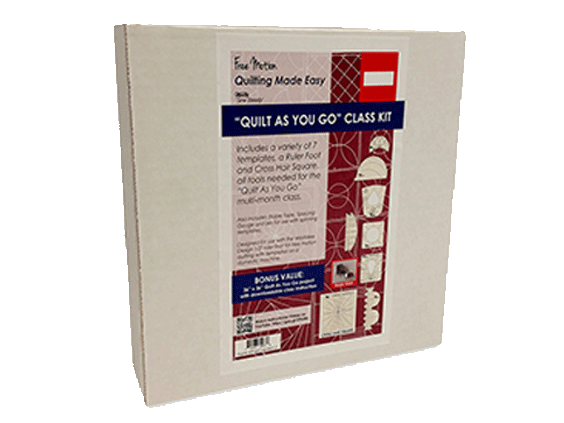 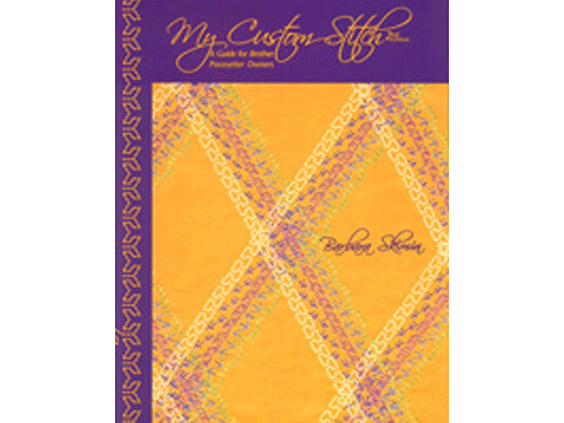 The all new project book comes with a free CD containing 82 Embroidery Designs in the .pes format for suggested use with more than 30 different projects shown in full color. 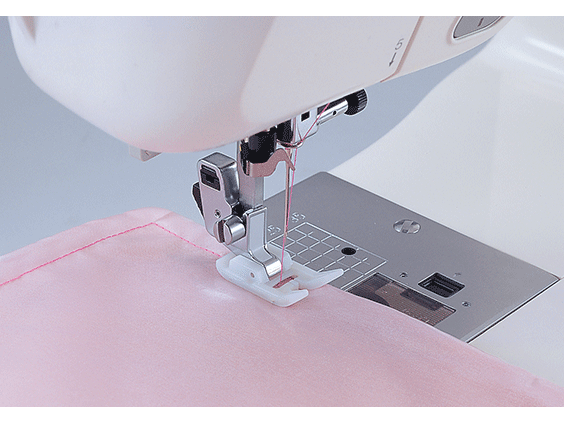 Included are tips and tricks with projects for everyone and for every skill level. 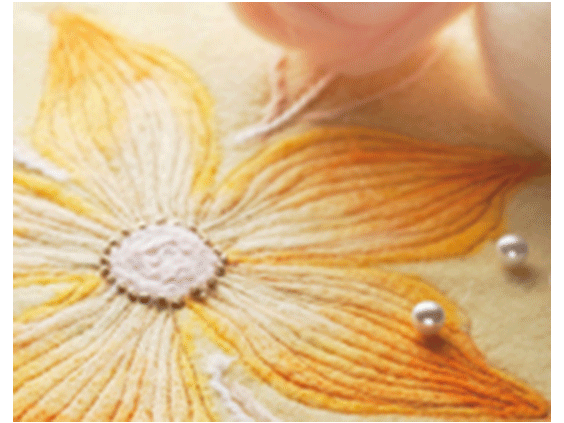 Expand your skills as you create unique and lasting memories. 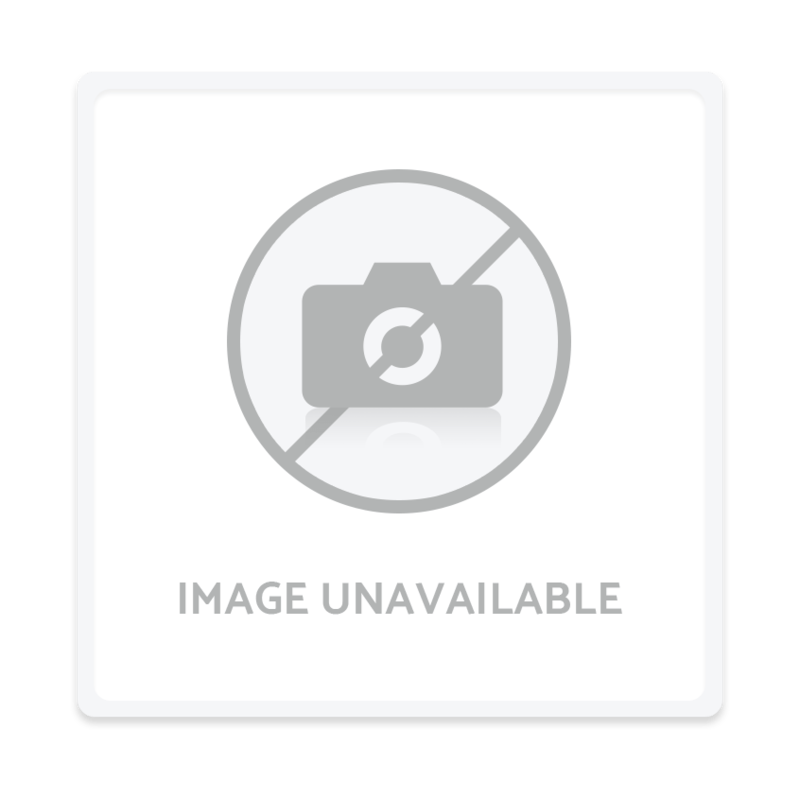 Your favorite cars in true form! 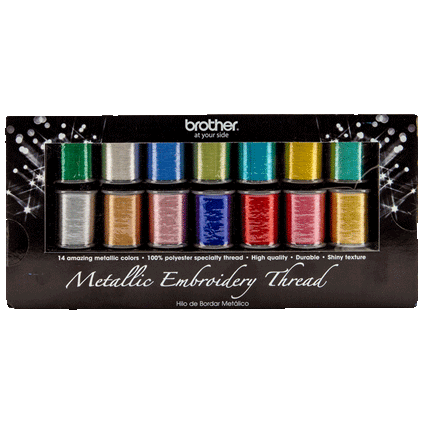 The second volume of Brother's licensed embroidery designs features the lovable, high-octane characters from the Disney/Pixar film "Cars". 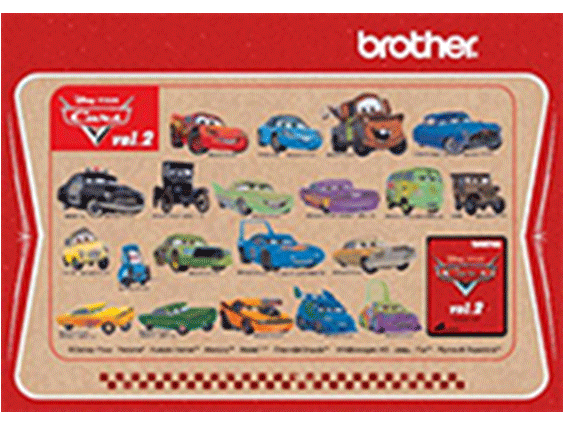 The "Cars" Volume 2 Embroidery Design Card contains 20 designs of the popular car characters including colorful images of Lightning McQueen, Sally, Mater and Doc Hudson. 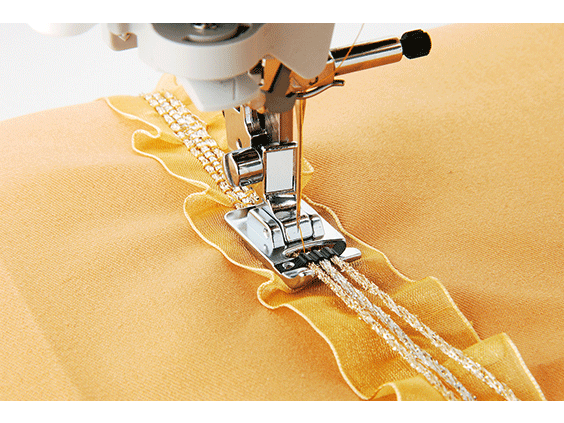 The designs are perfect for creative consumers who want to decorate or embellish jeans, backpacks, pillows, quilts and more. 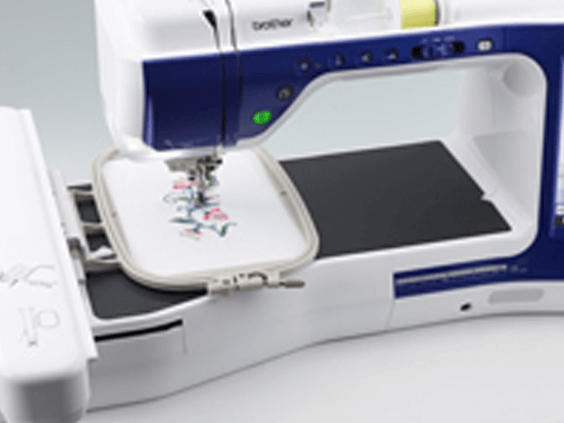 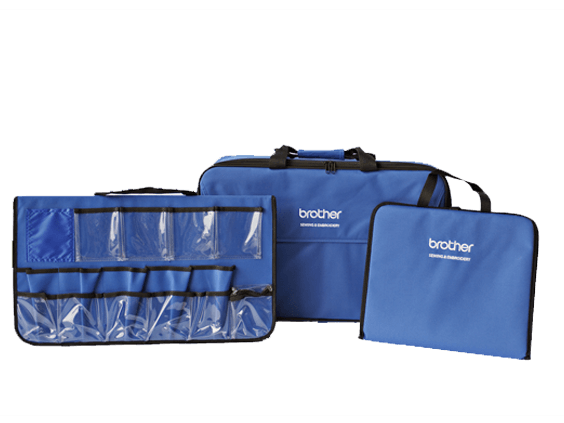 The card is compatible only with Brother-branded home embroidery machines bearing the Disney nameplate. 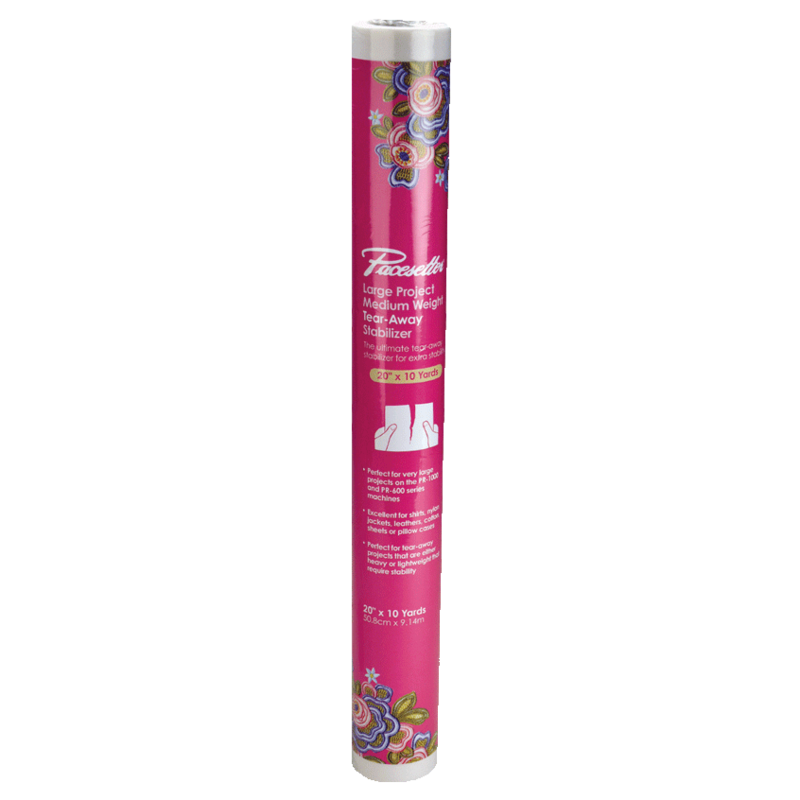 Border Frame, 7" x 4"
This 7x4 Border Hoop enables you to effortlessly create and repeat designs vertically and horizontally on your creative projects. 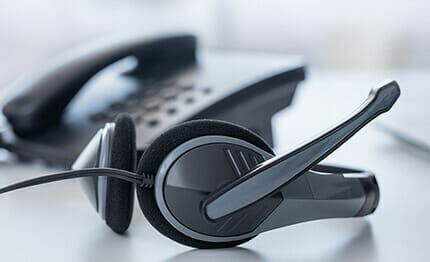 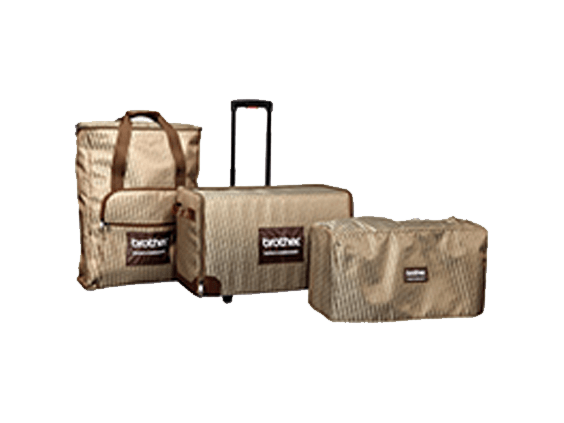 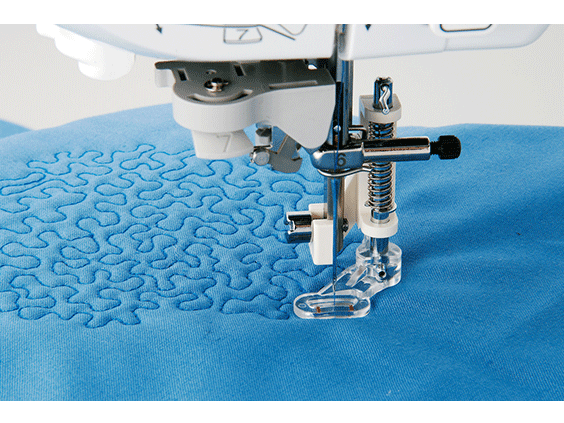 Easy-to-add and easy-to-see reference stitches assure the correct connection and alignment of your designs. 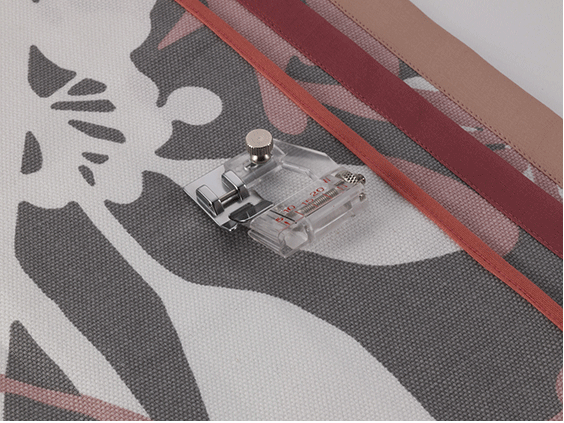 The hoop lifts open while attached to the embroidery arm which allows you to easily slide your fabric to the next location. 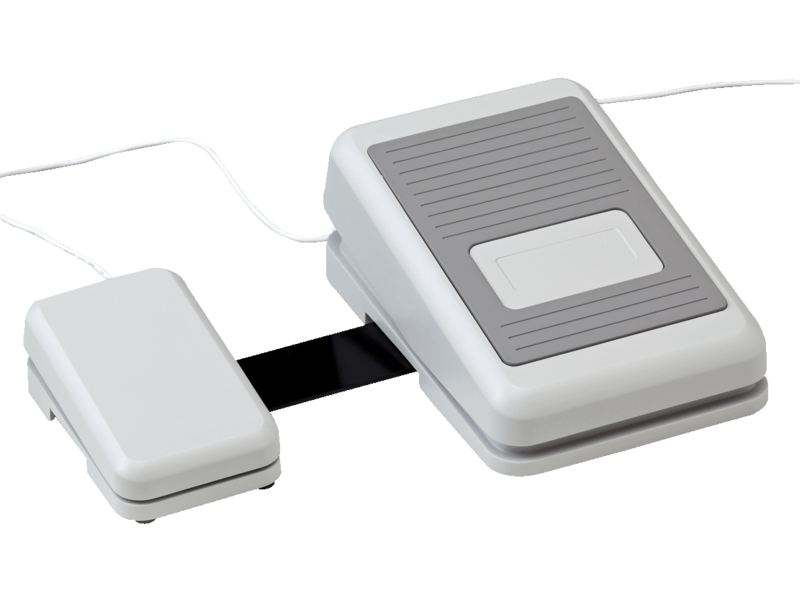 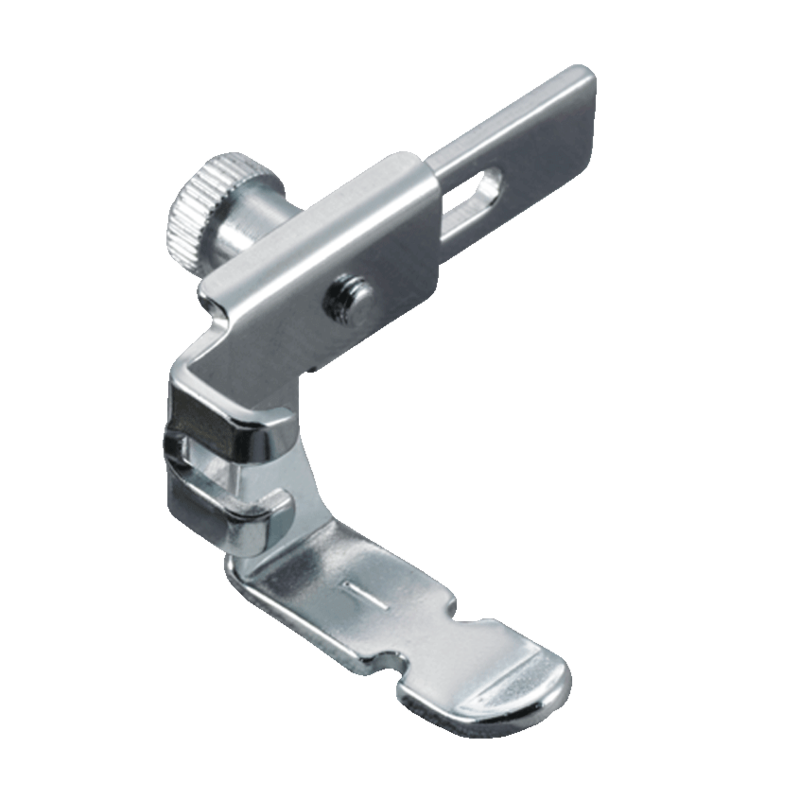 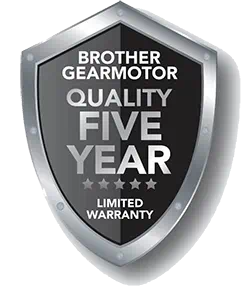 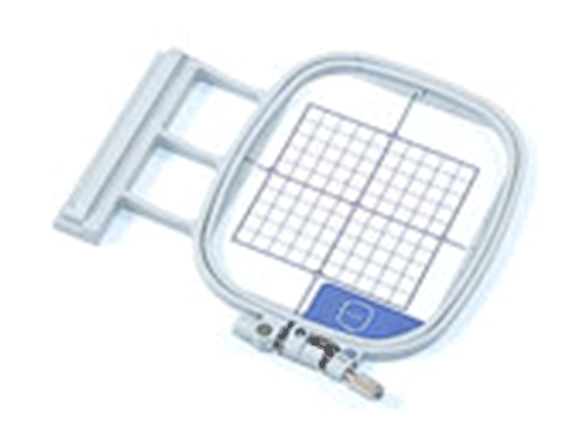 This product is now designed for use with the Quattro, Quattro 2 and the Isodore Innov-is 5000. 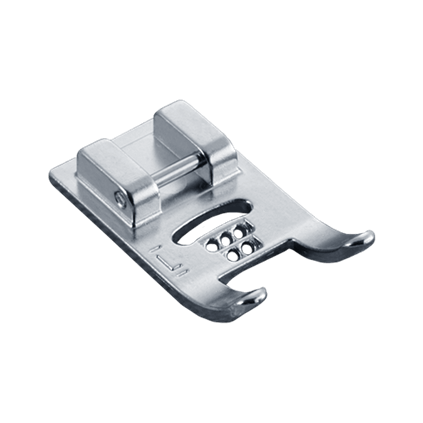 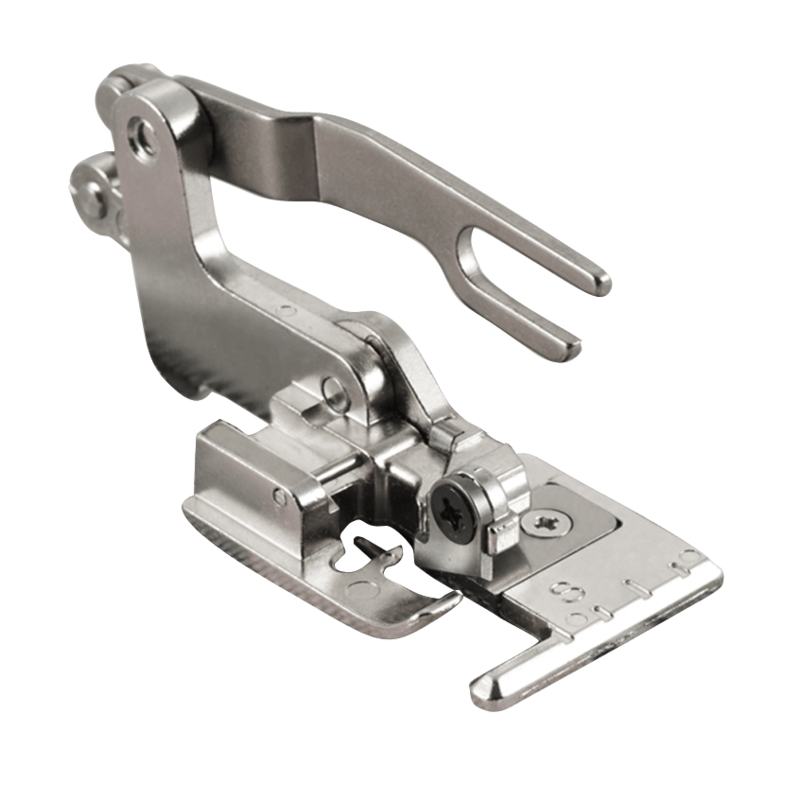 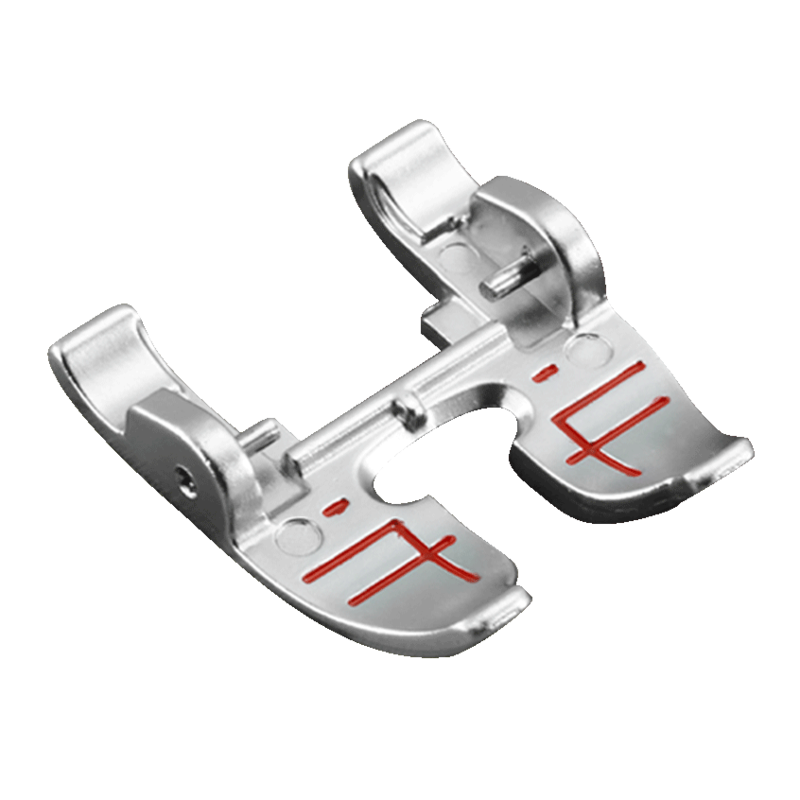 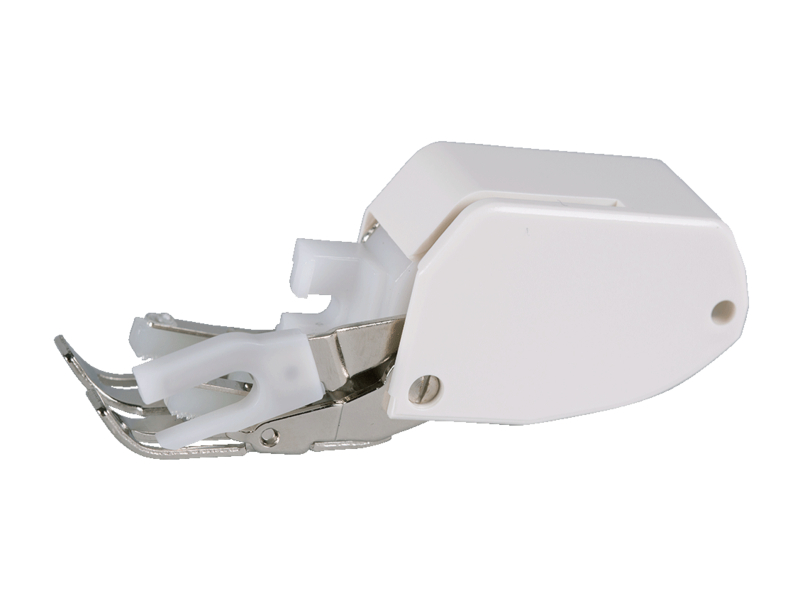 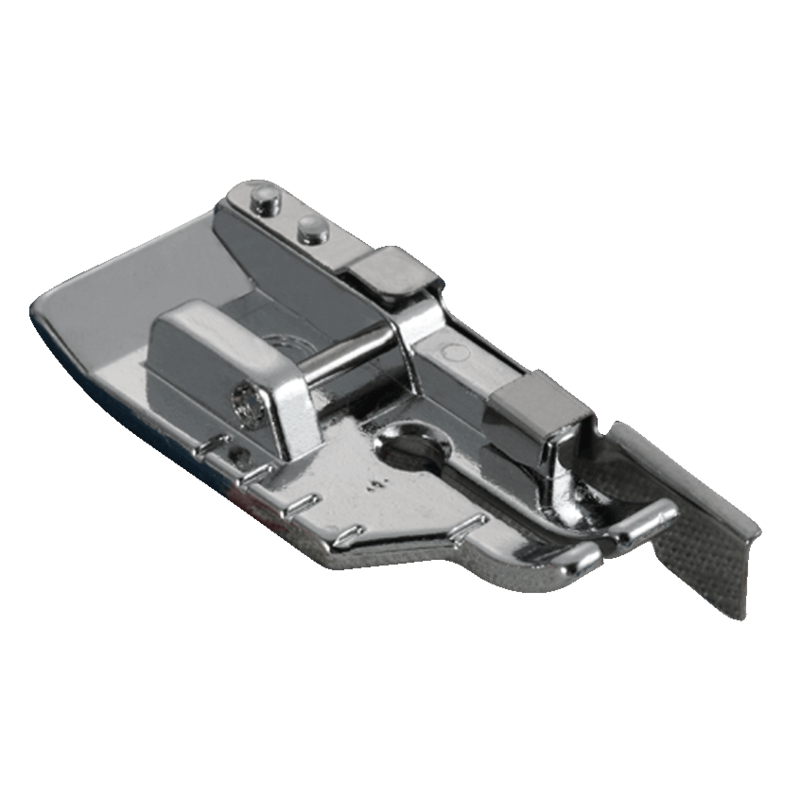 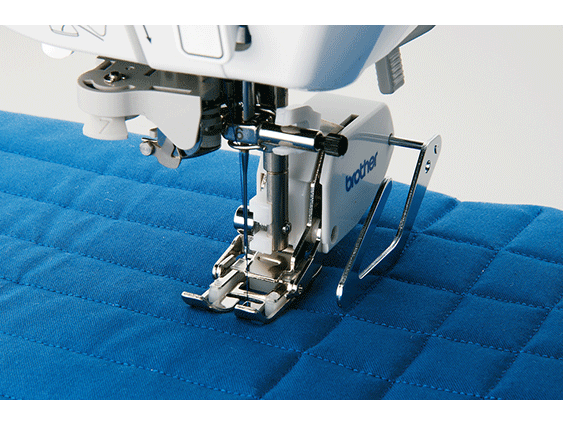 Automatically Provides Exact Seam Allowances. 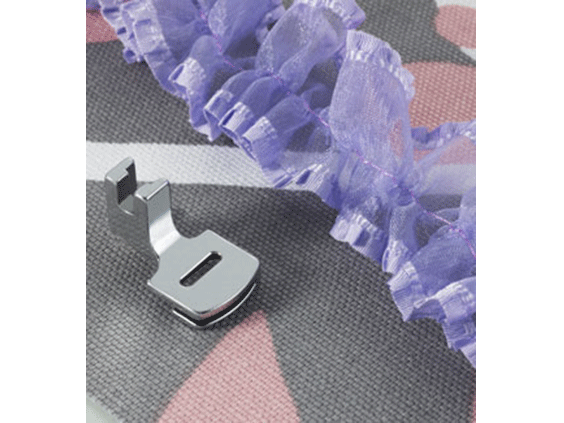 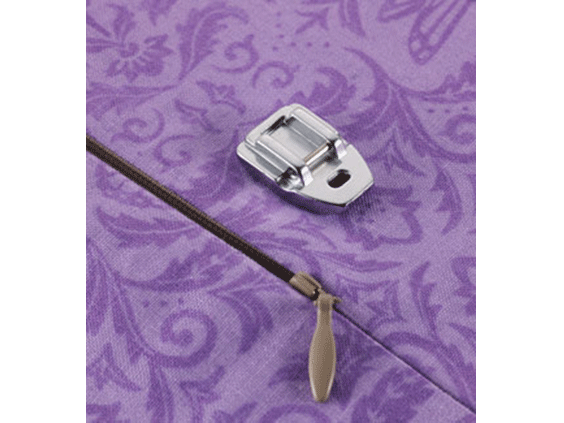 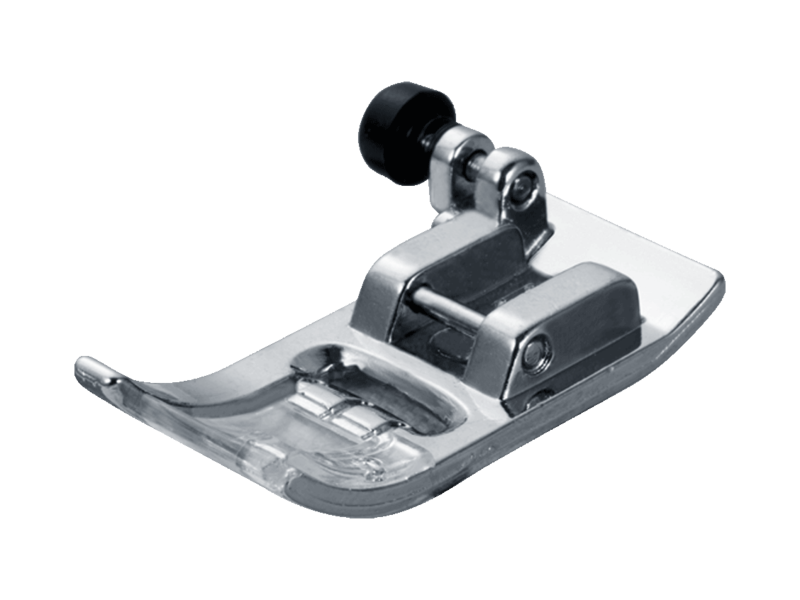 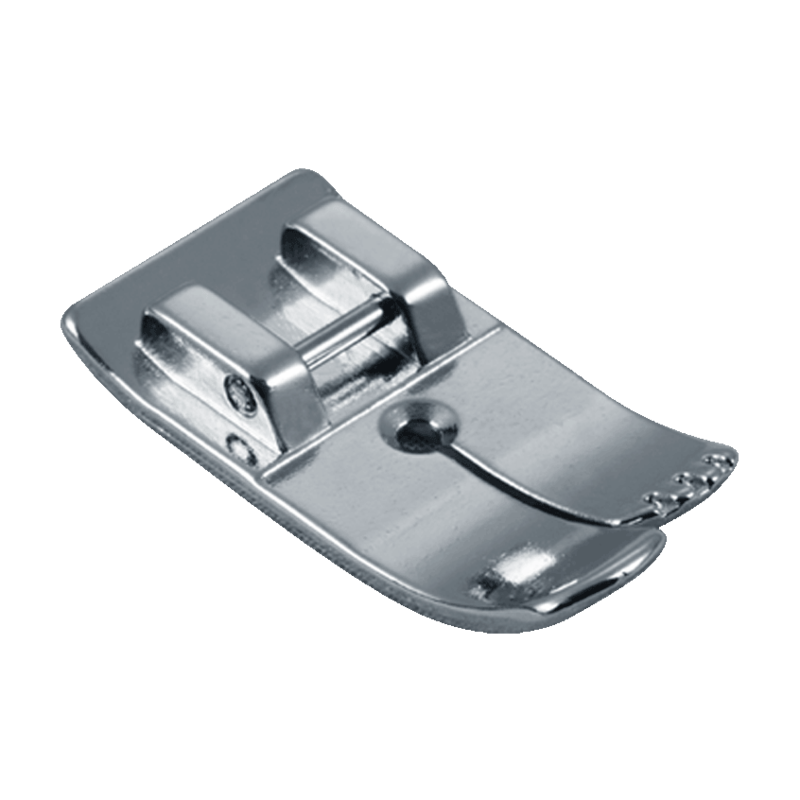 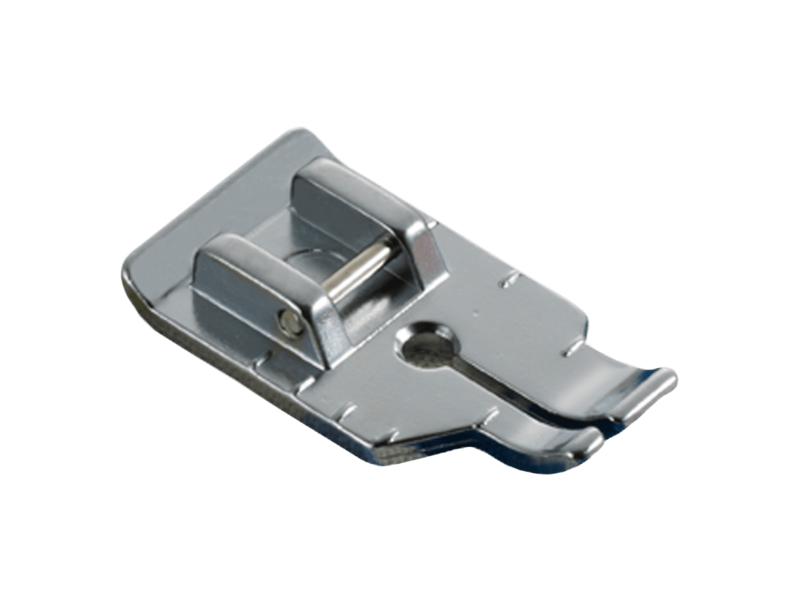 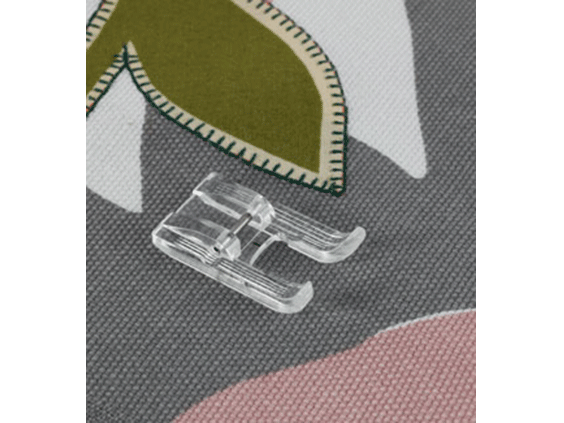 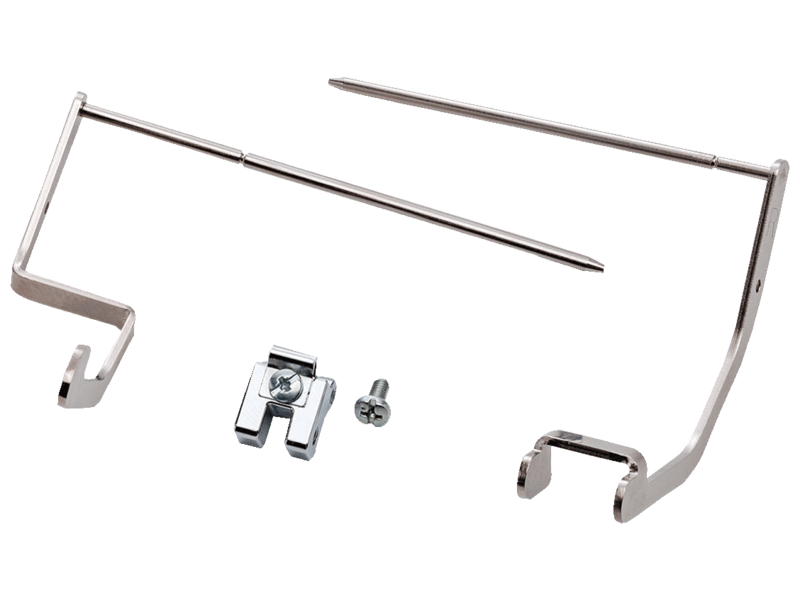 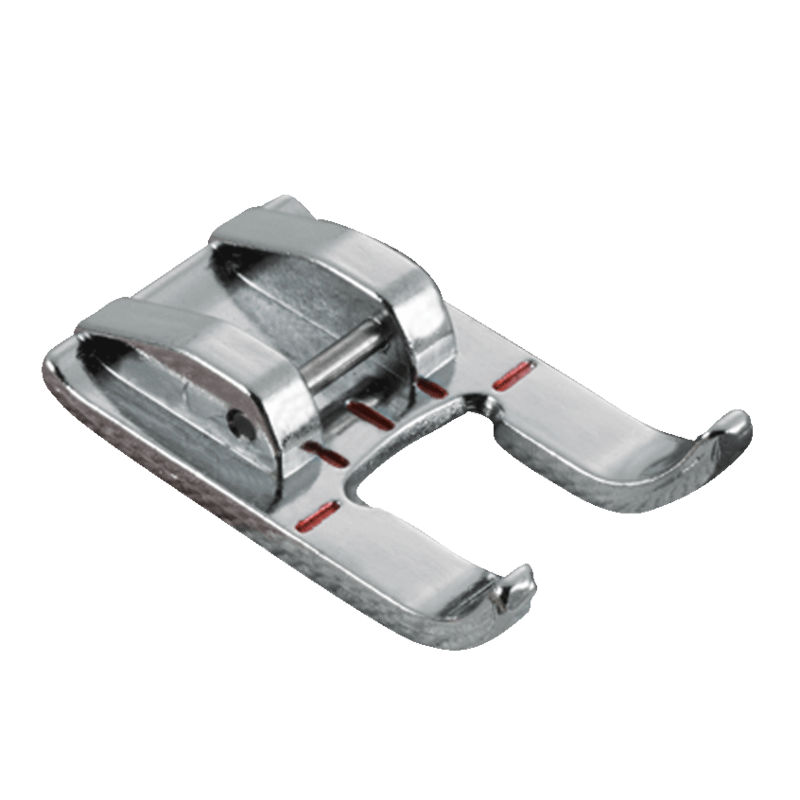 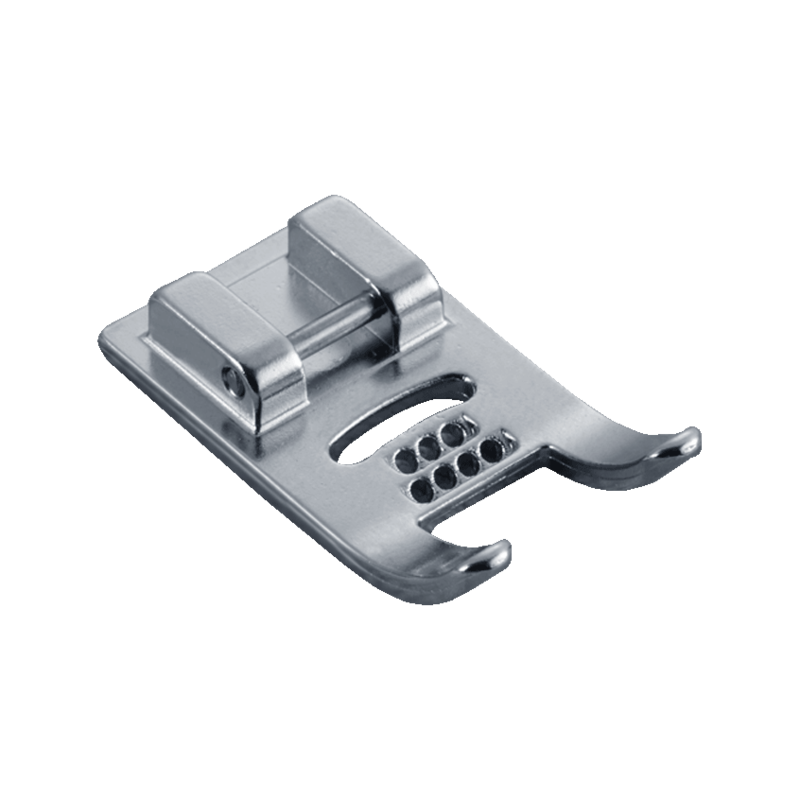 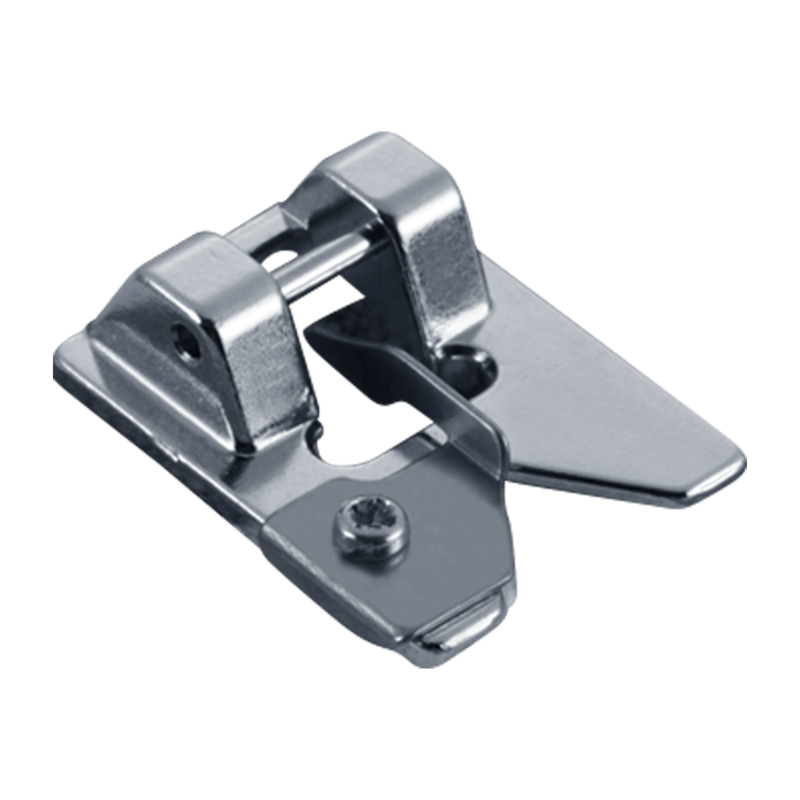 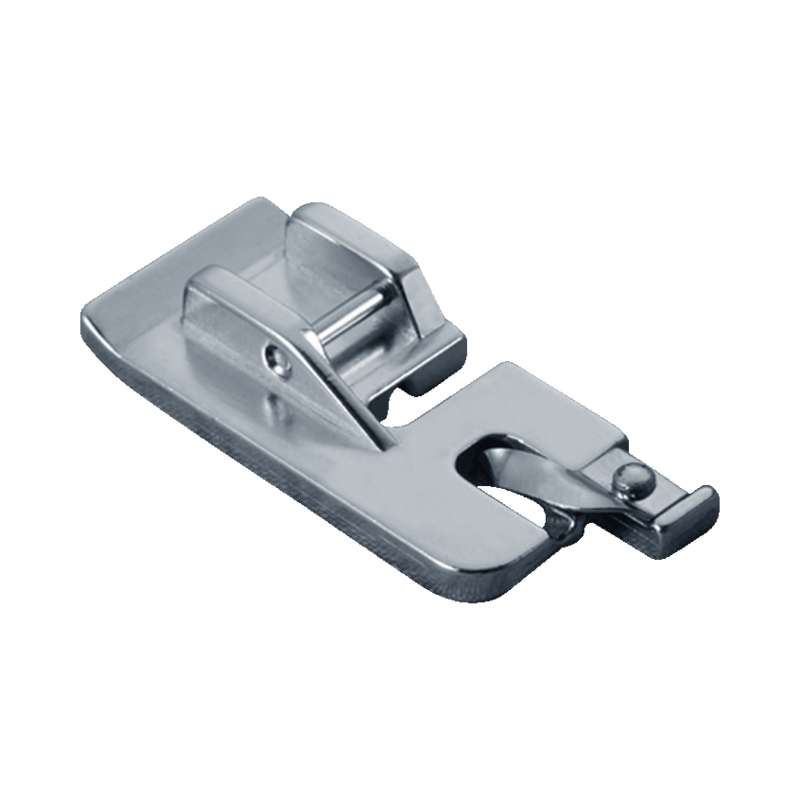 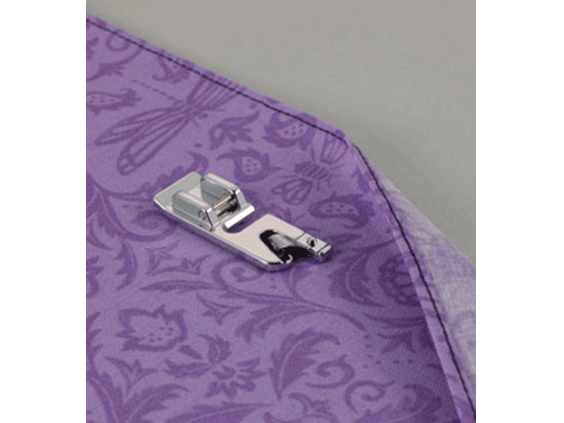 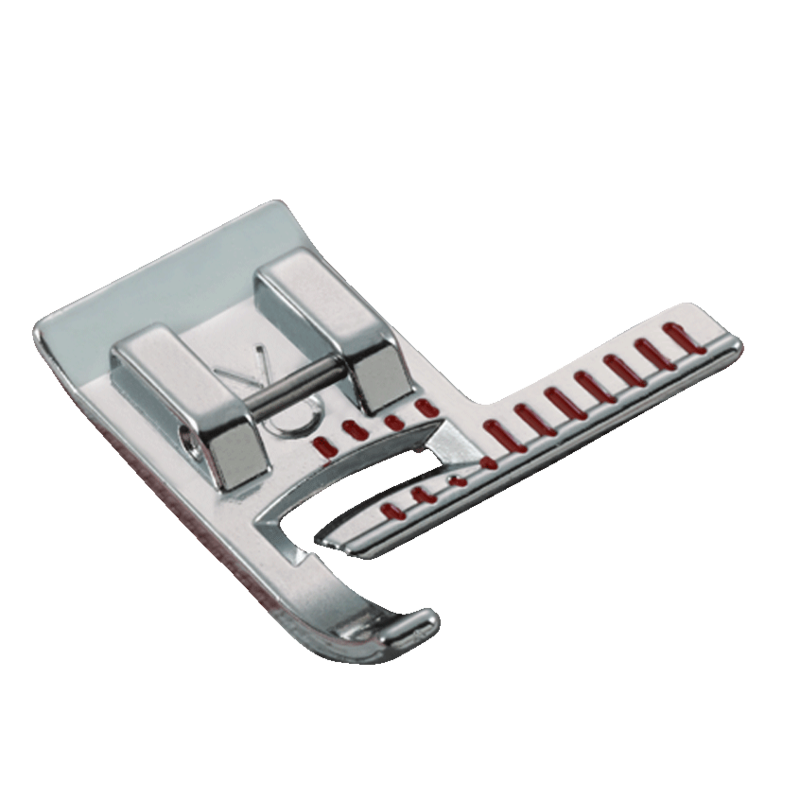 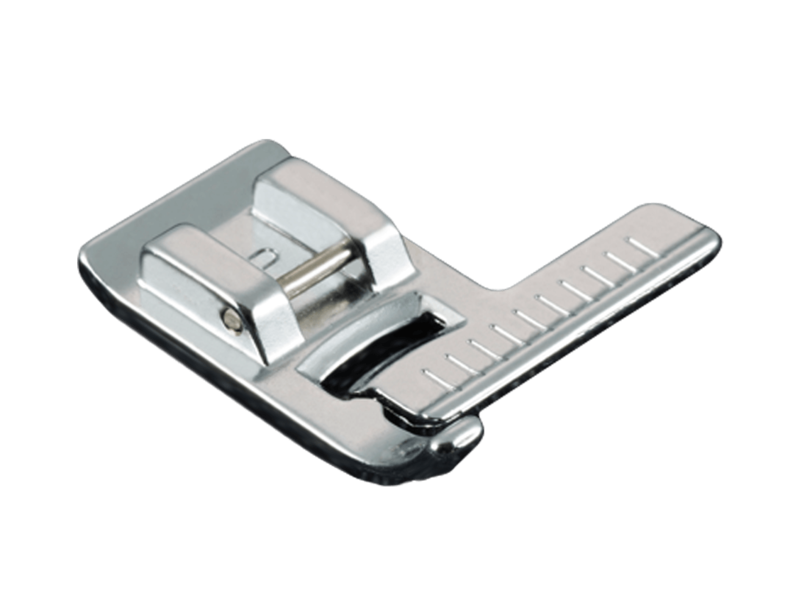 The Edge Sewing Sheets are used in conjunction with the Quattro 6000D's InnovEye Technology (built-in camera) and the Vertical Stitch Alignment Foot (SA189) to allow the system to provide proper alignment when sewing straight edges and gentle curves of fabric. 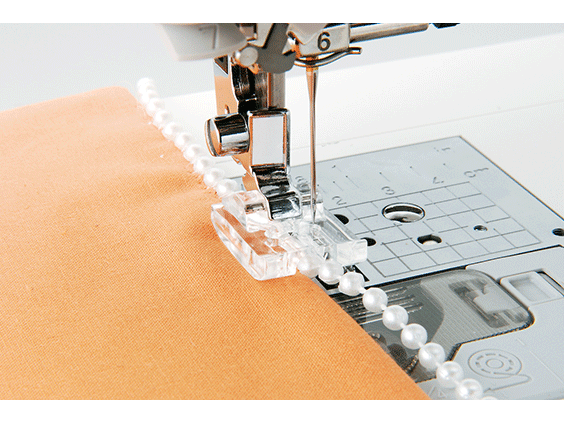 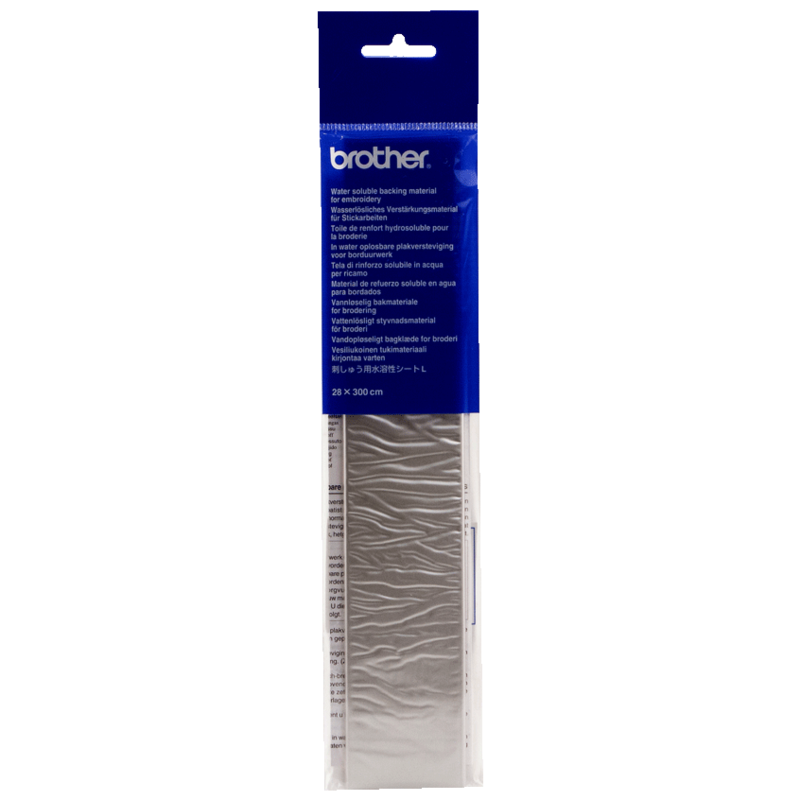 The Edge Sewing Sheets which are peel-off plastic are easy-to-use and reusable. 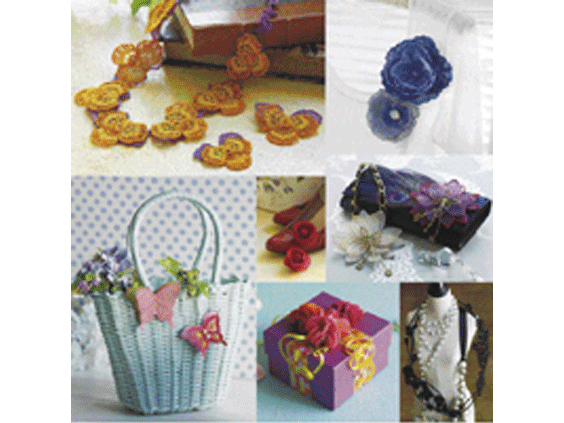 5 Sheets included. 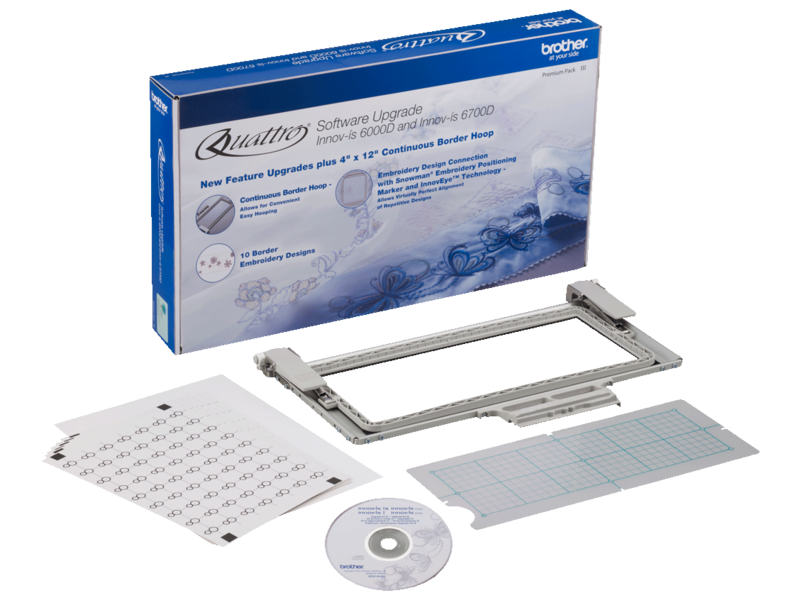 It works with the Quattro 6000D only. 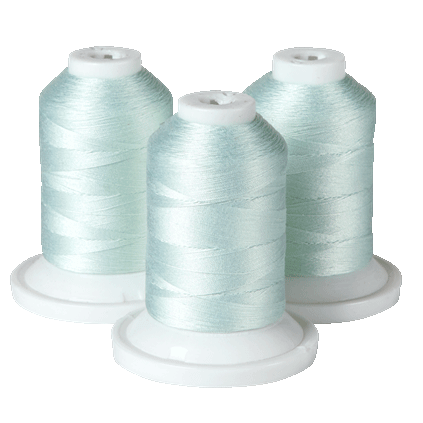 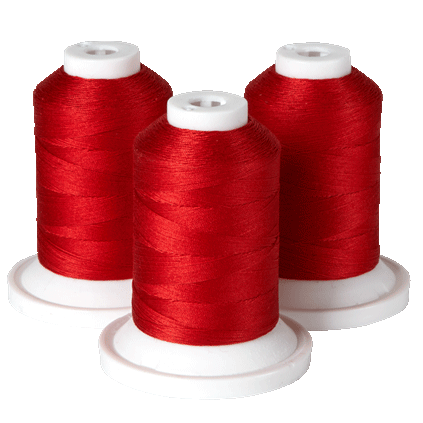 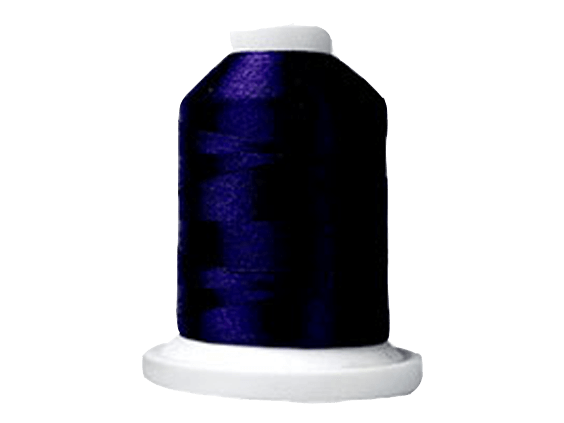 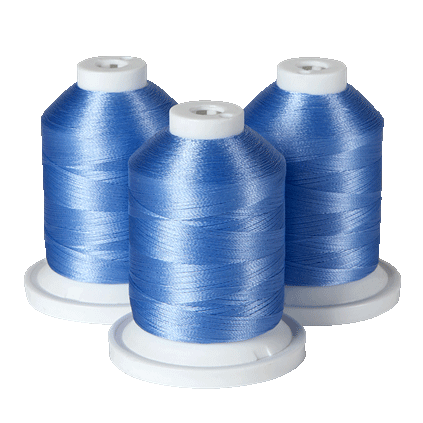 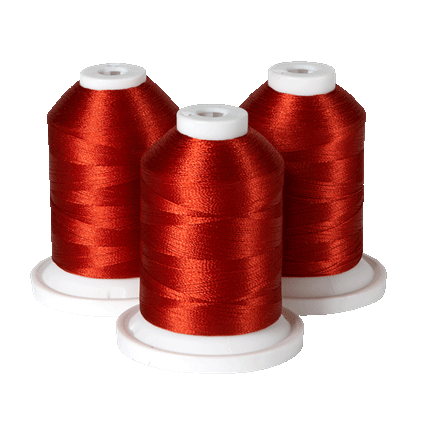 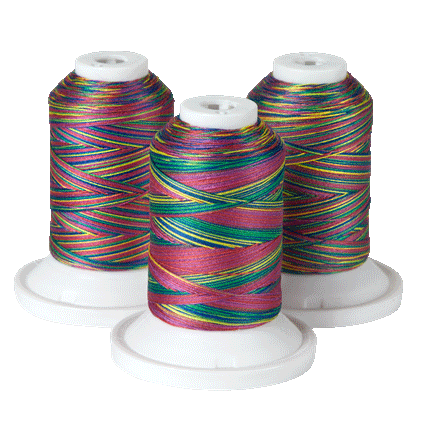 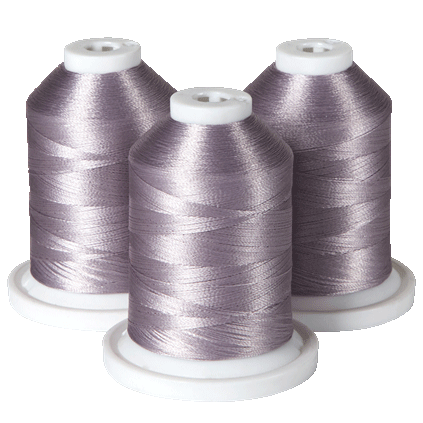 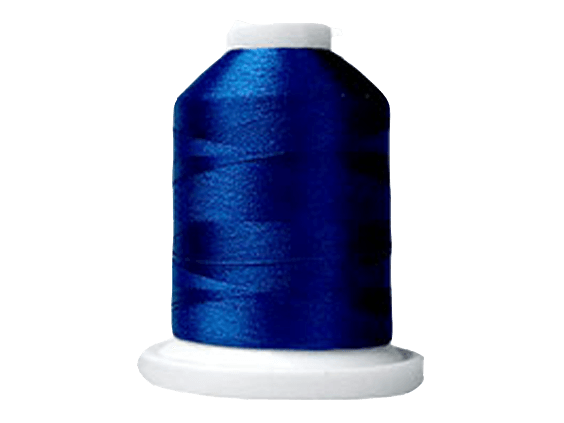 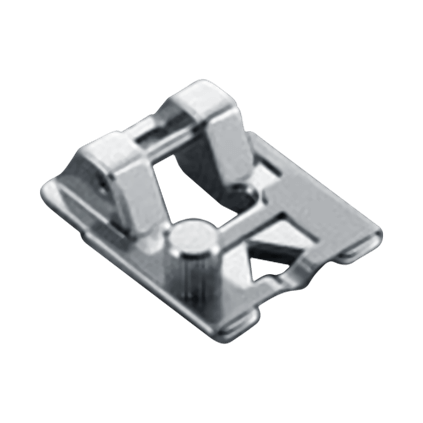 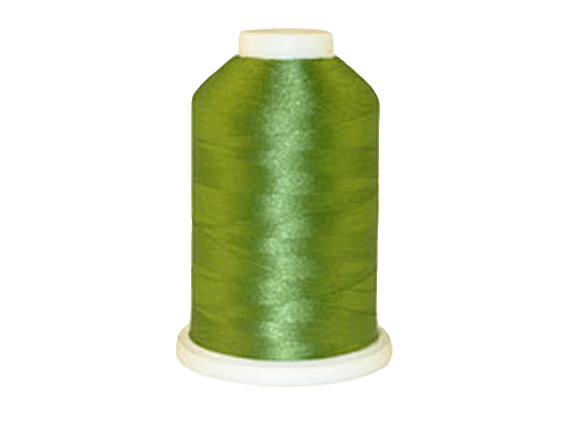 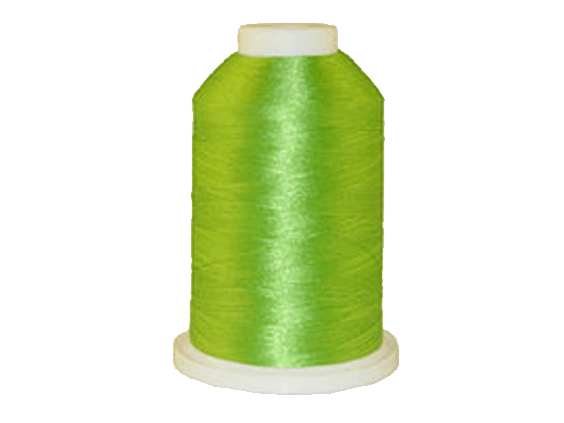 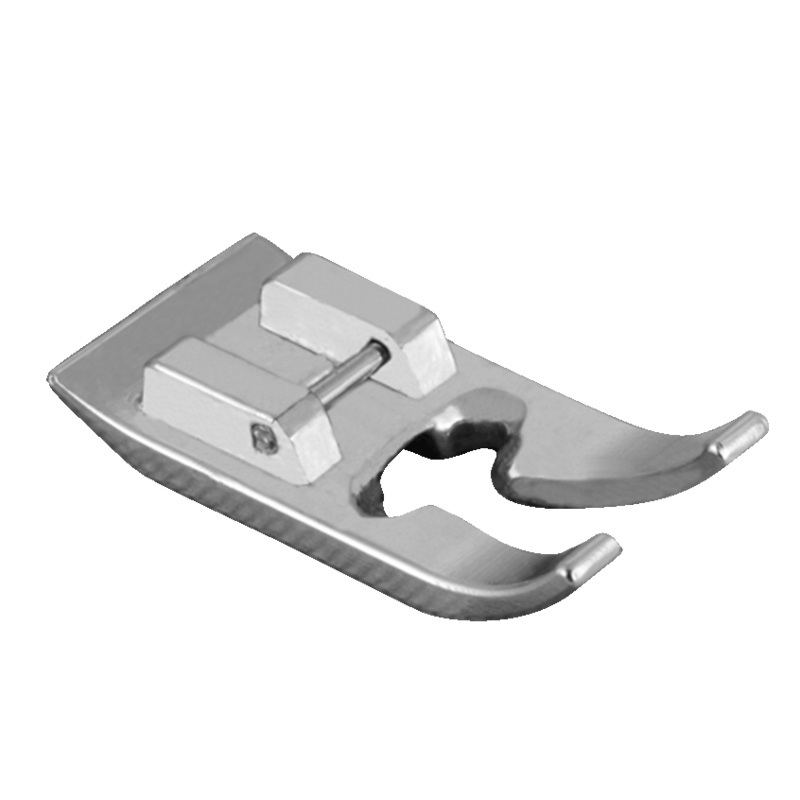 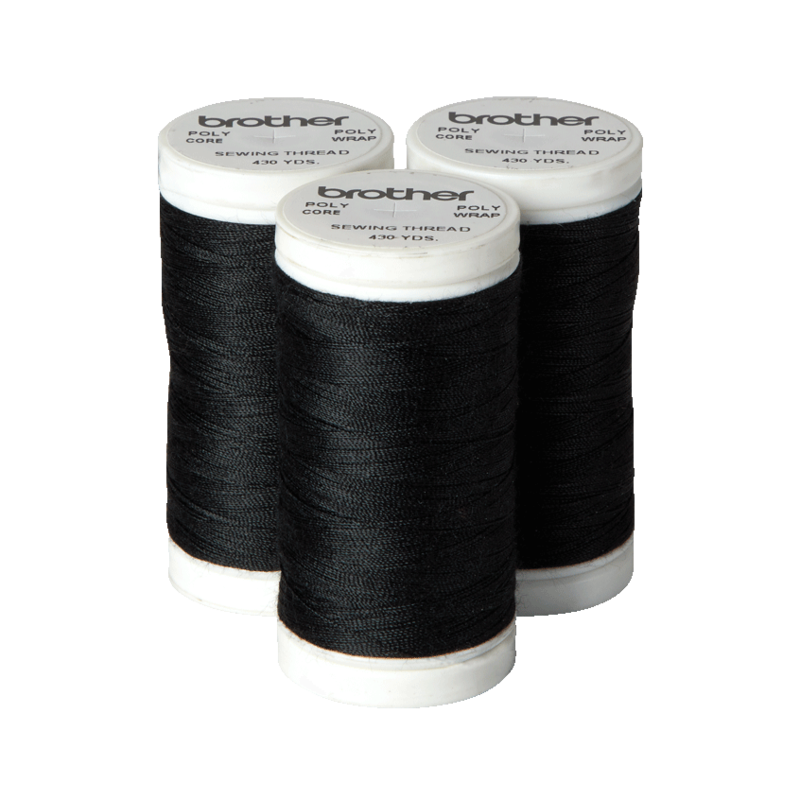 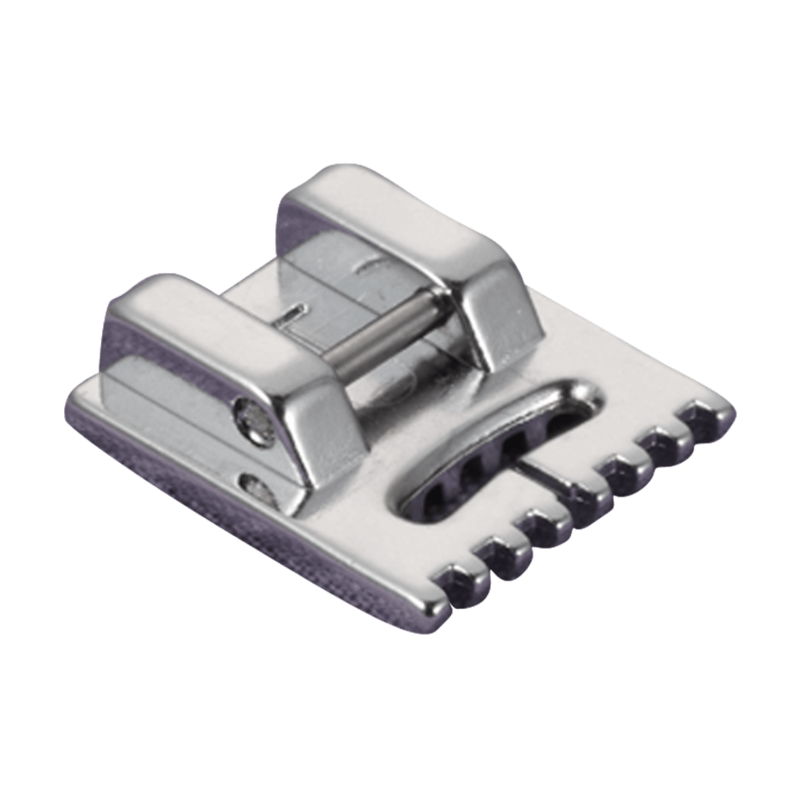 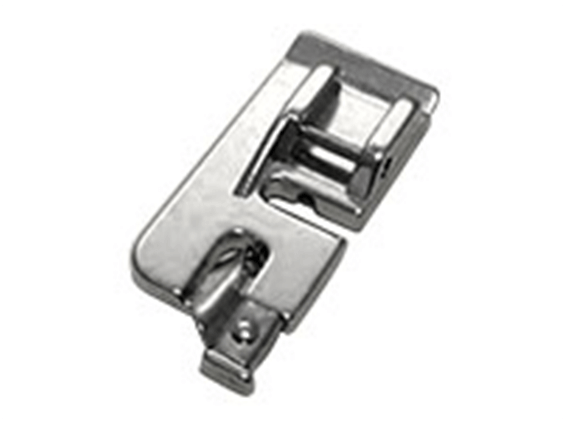 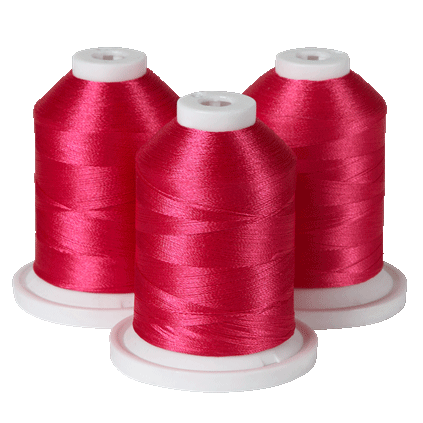 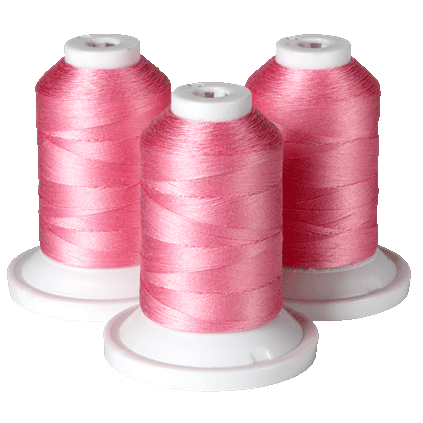 Same as SA5810, available in a wider width that is convenient for larger projects, multi-needle machines, and larger hoop sizes. 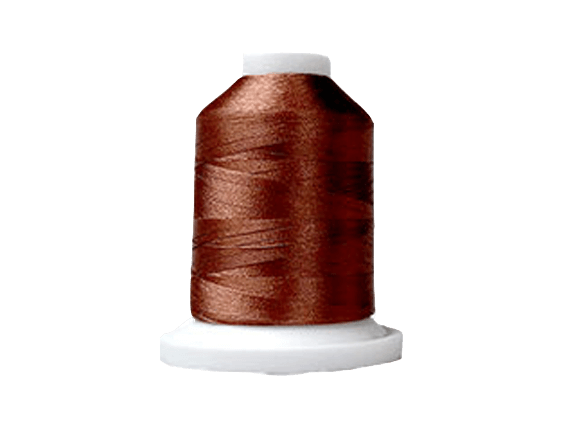 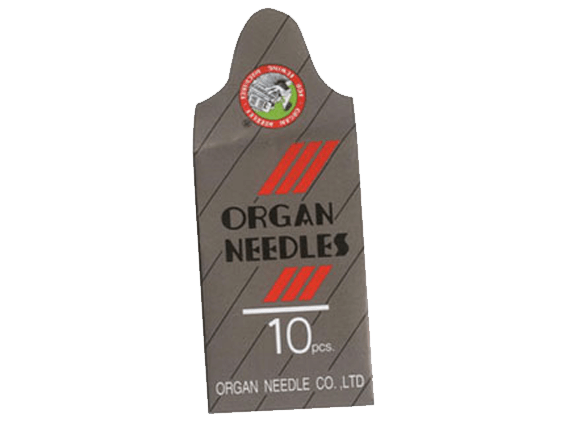 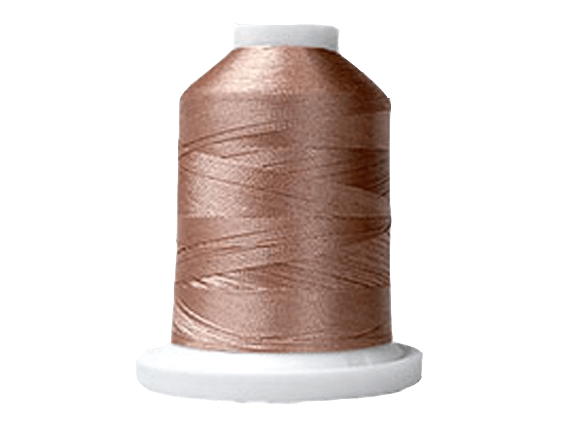 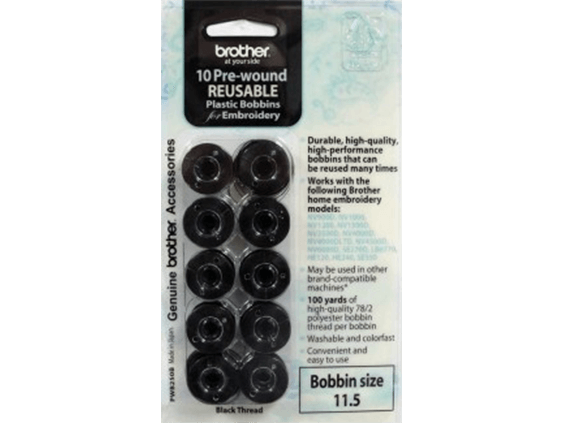 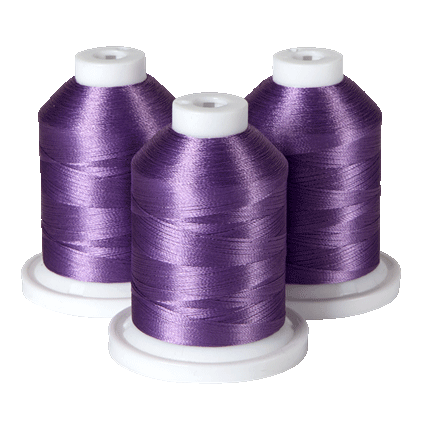 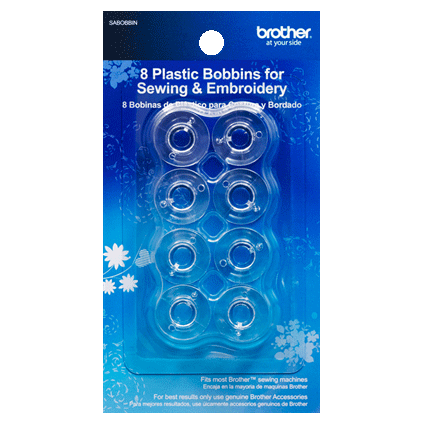 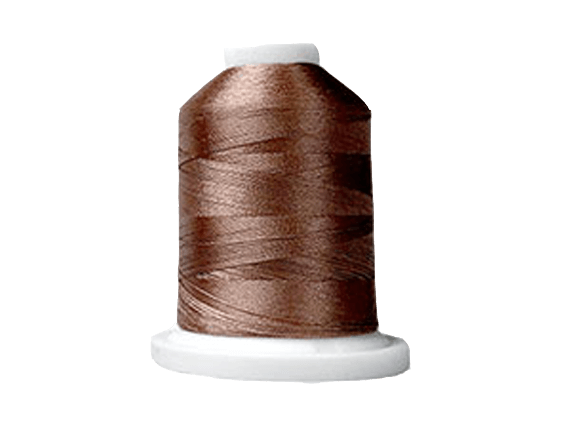 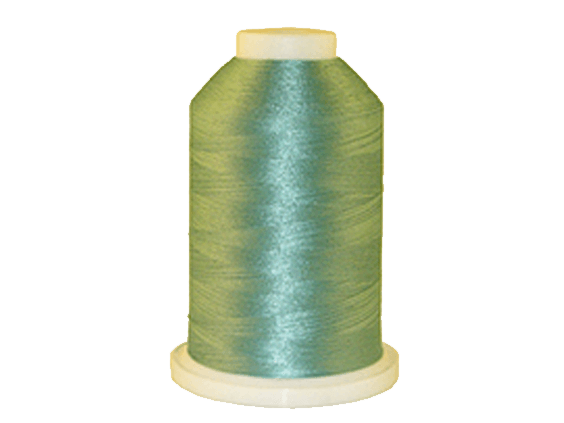 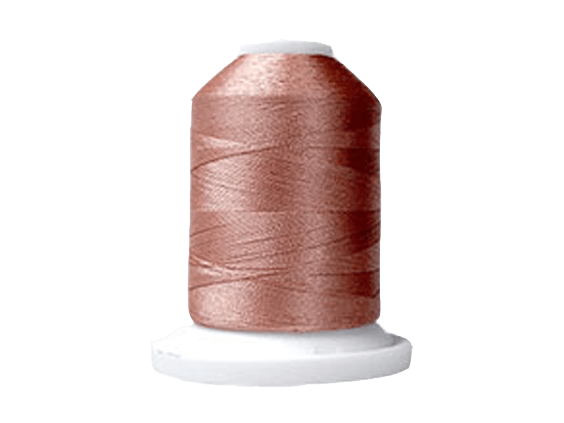 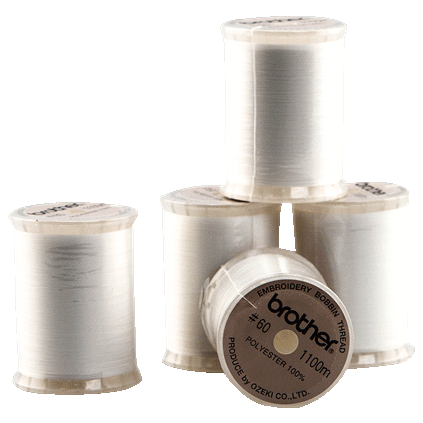 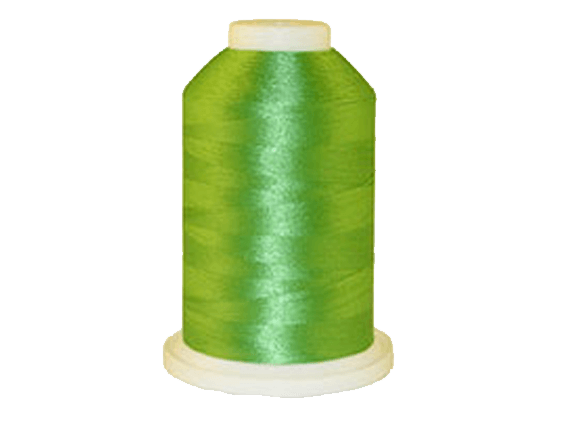 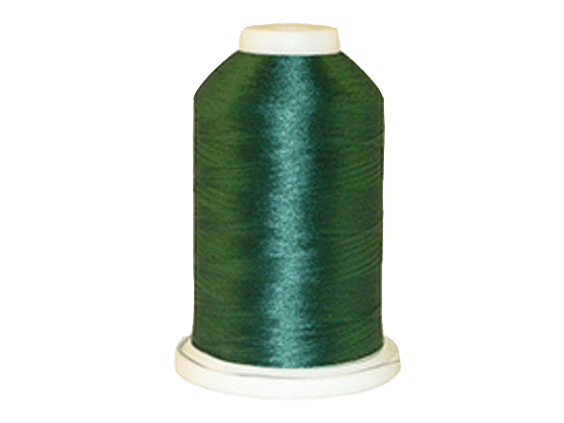 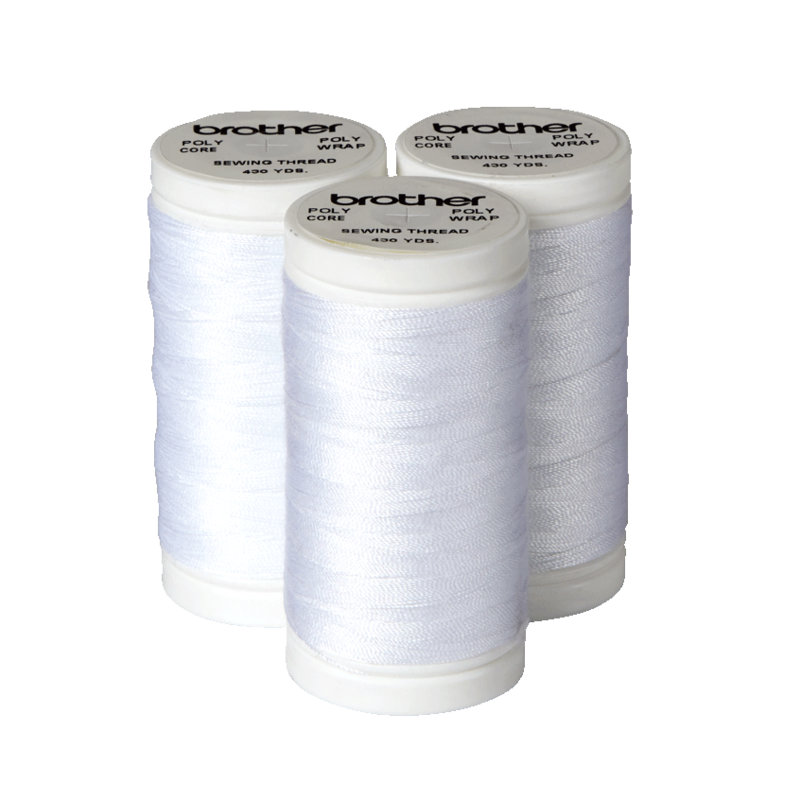 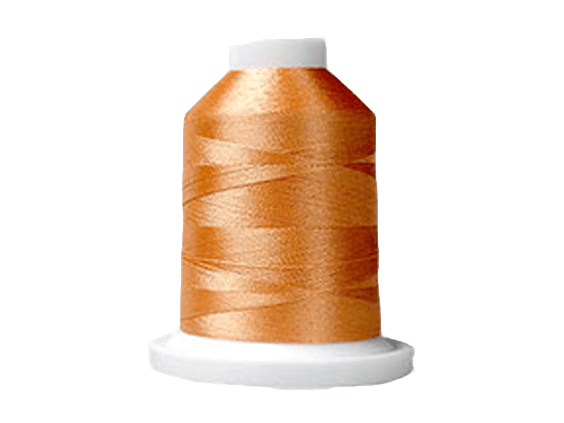 With multiple uses for both embroidery and decorative stitching, this tear-away stabilizer is one you will reach for again and again. 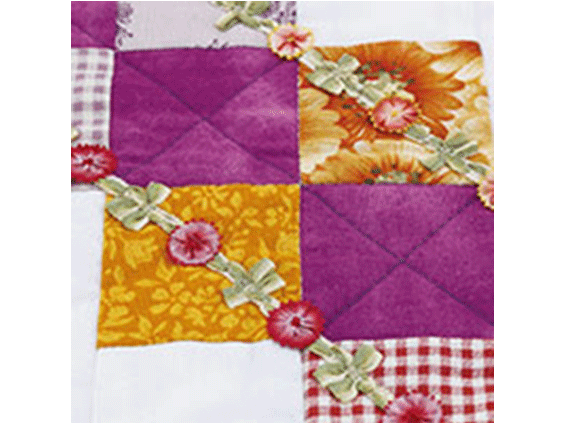 Simply place one or more layers against the wrong side (back) of your project. 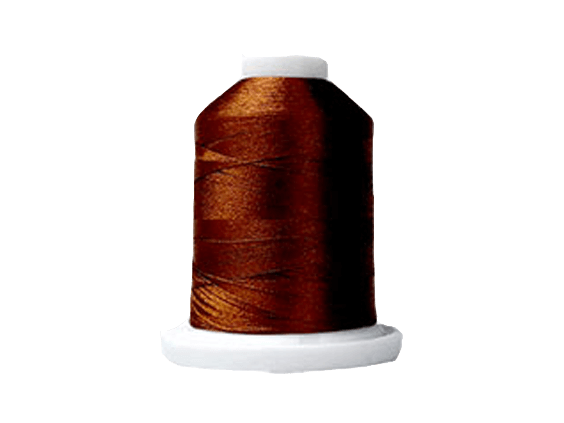 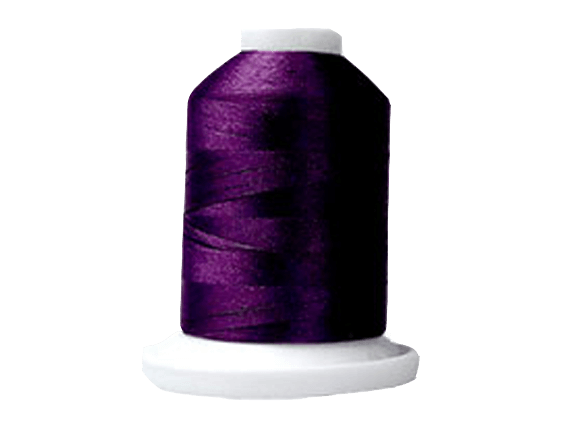 Sew or embroider, and then remove by pulling the excess away from the stitches. 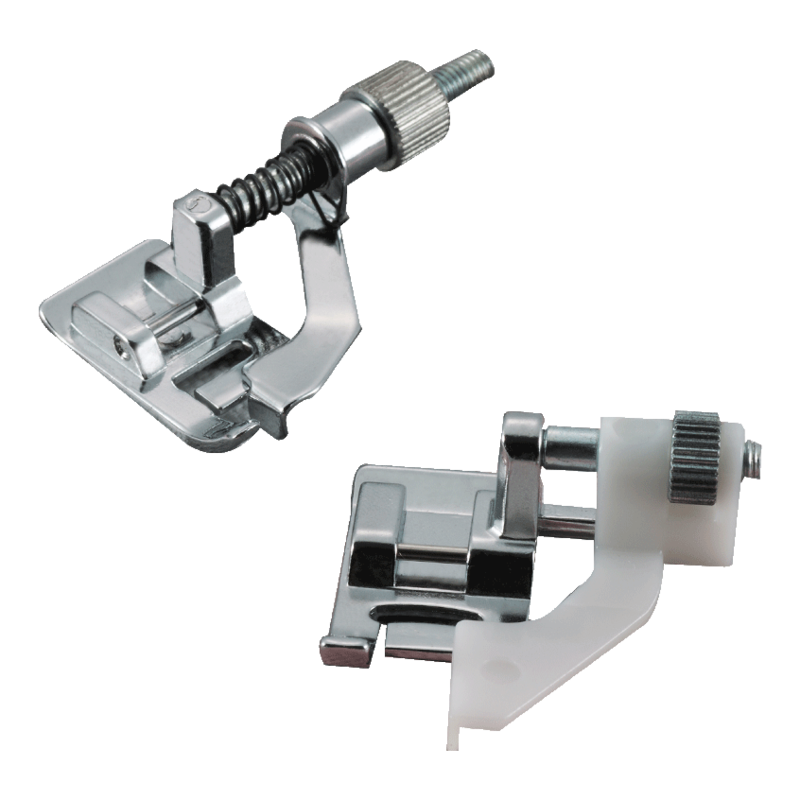 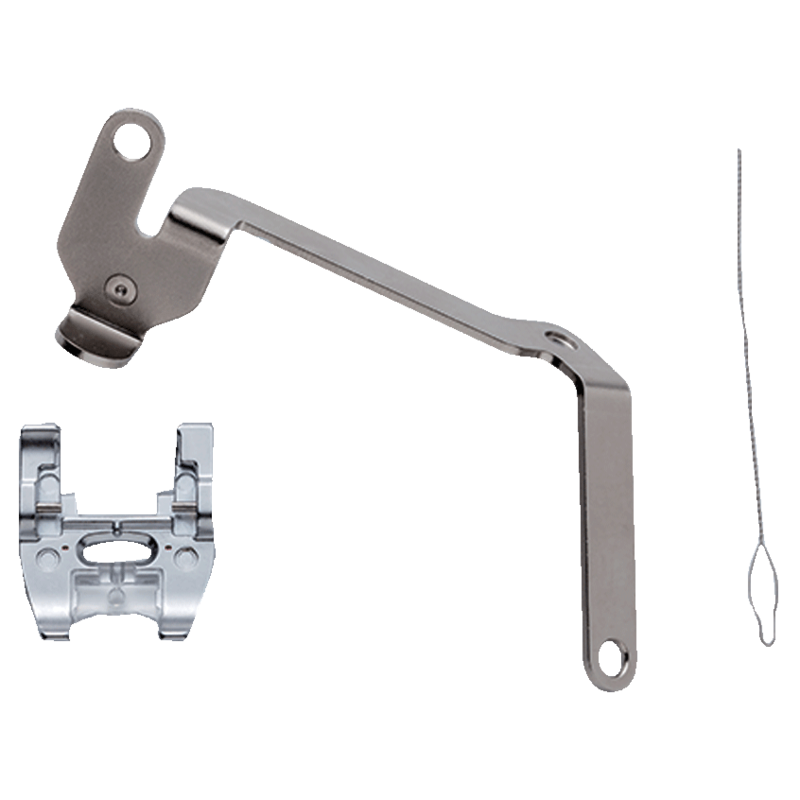 Perfect for projects that are either heavy or light weight, this stabilizer can be used on its own or as an added layer with cut-away type stabilizers. 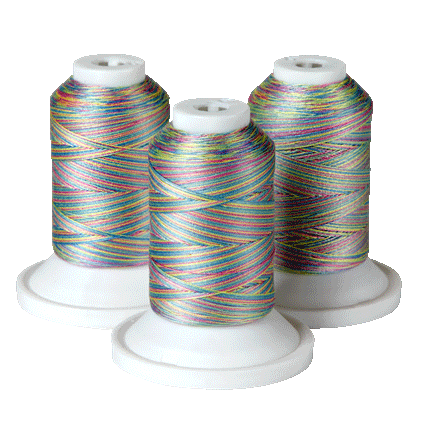 This versatile tear-away is pliable enough to be hooped with the fabric but it can also be used as a floating layer underneath the hoop. 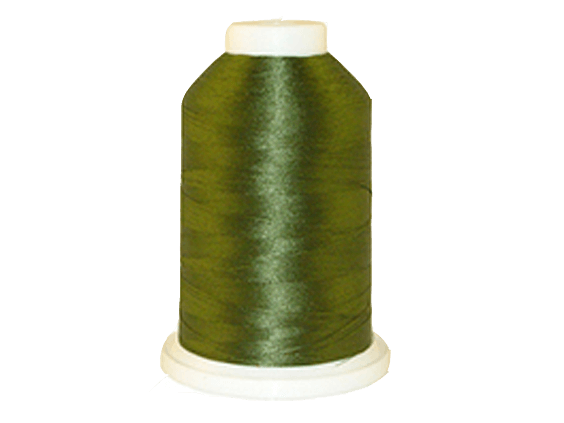 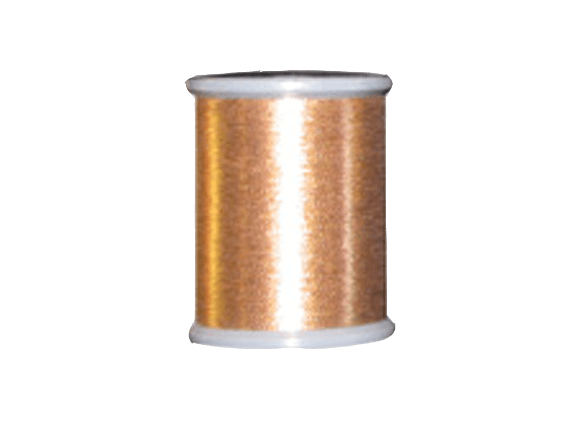 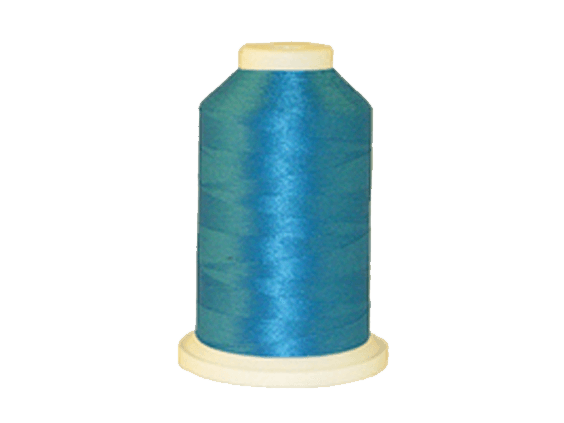 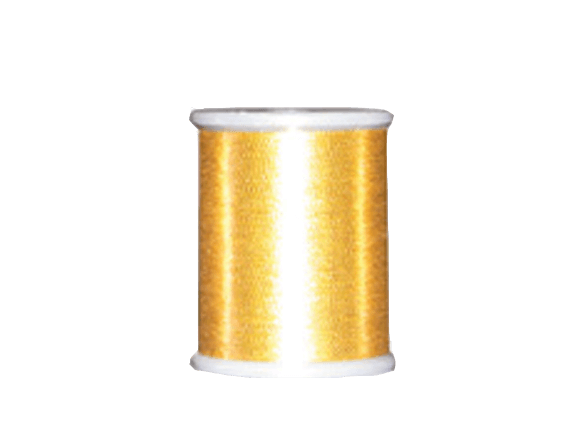 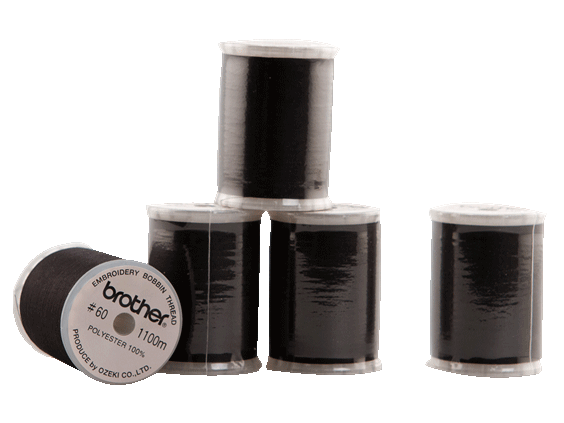 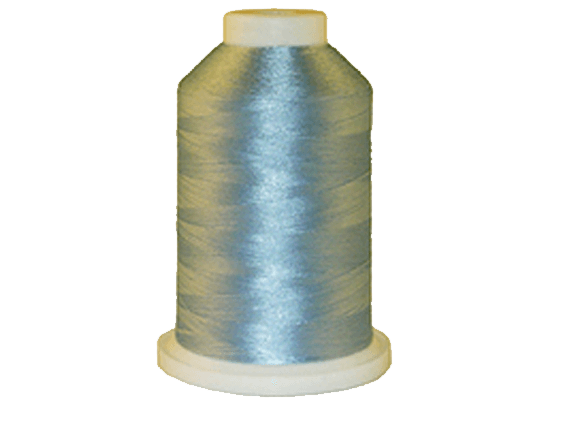 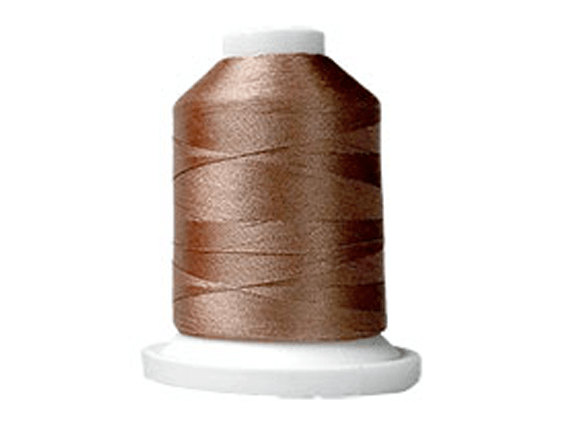 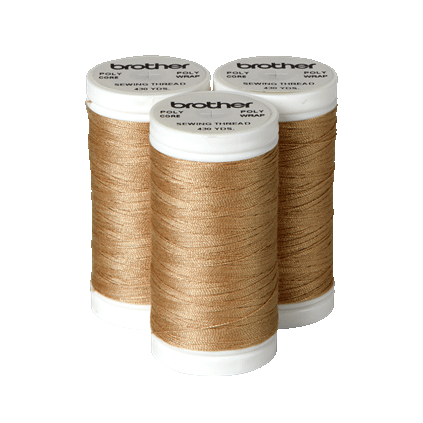 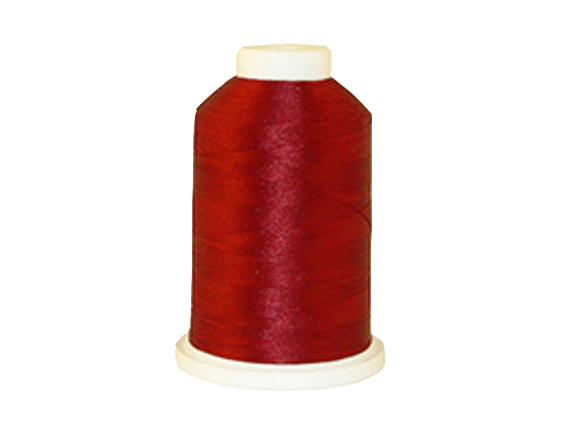 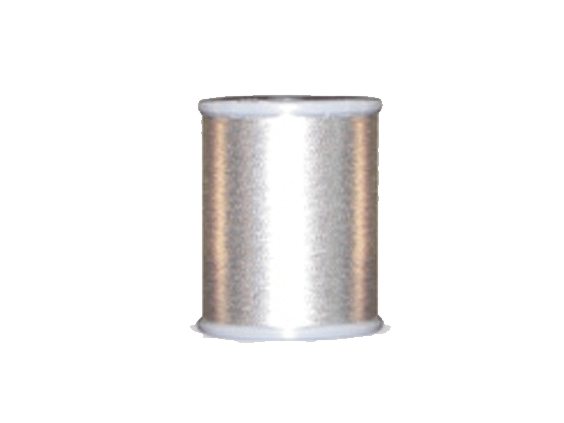 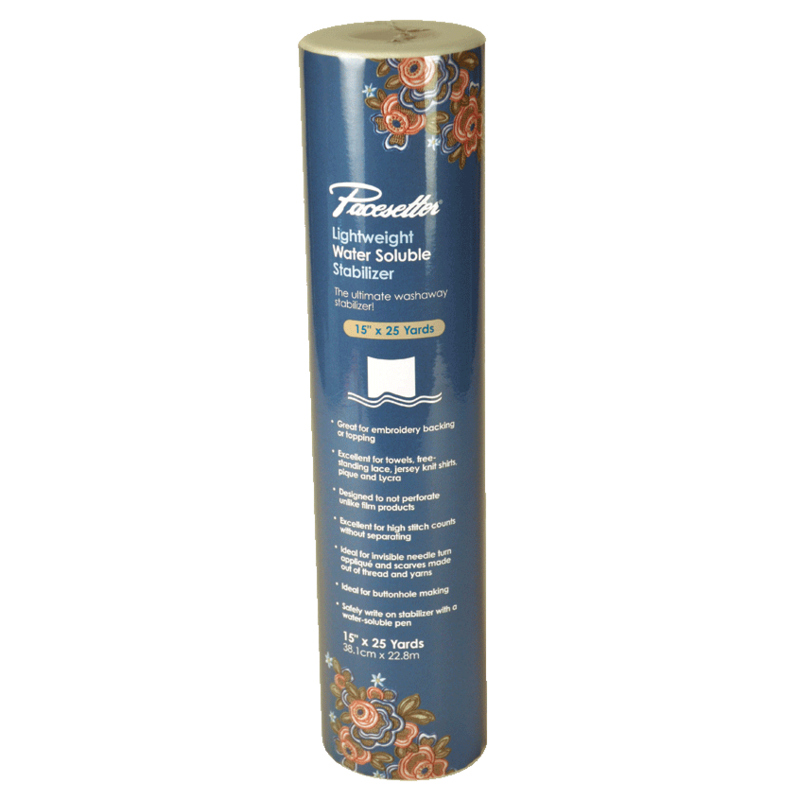 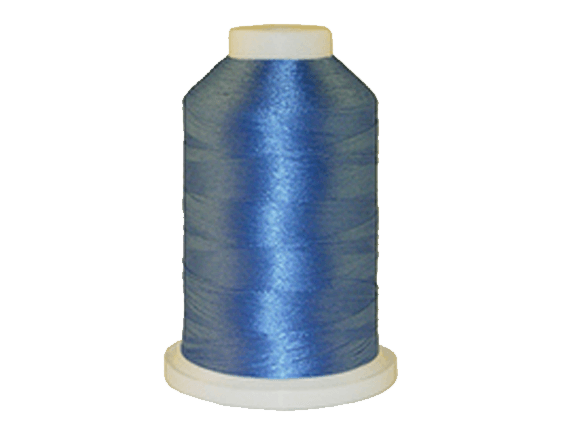 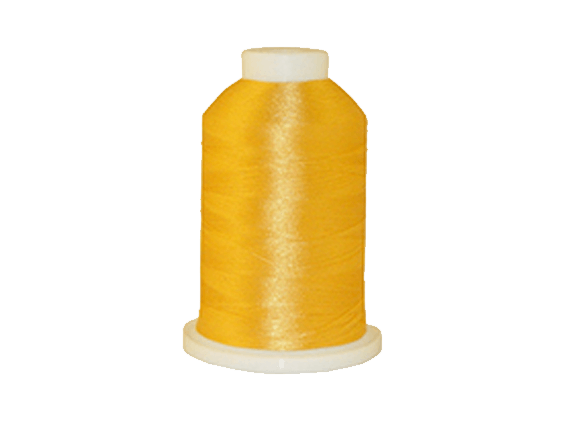 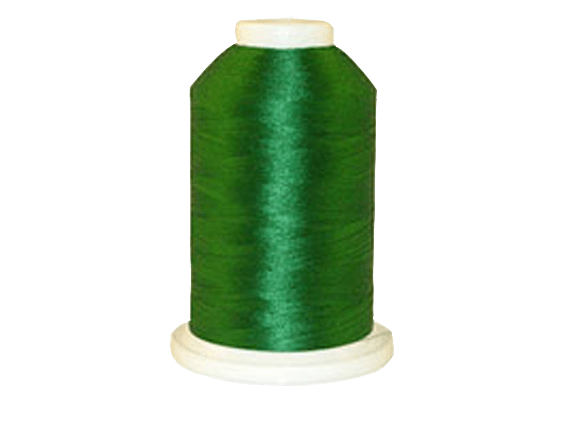 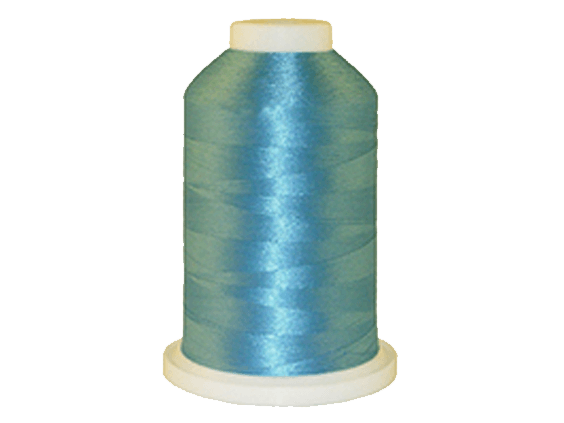 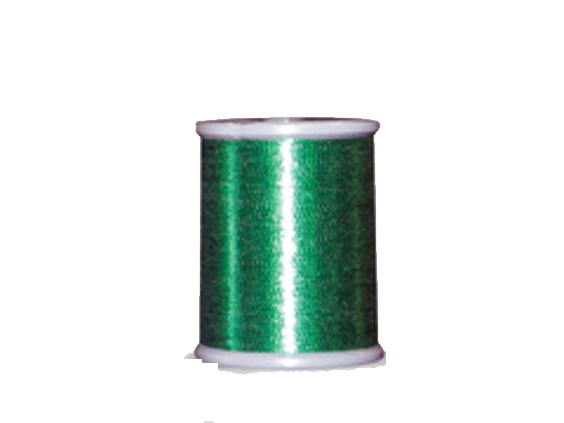 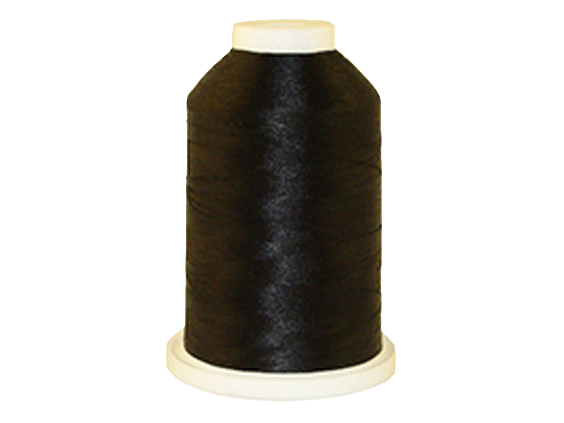 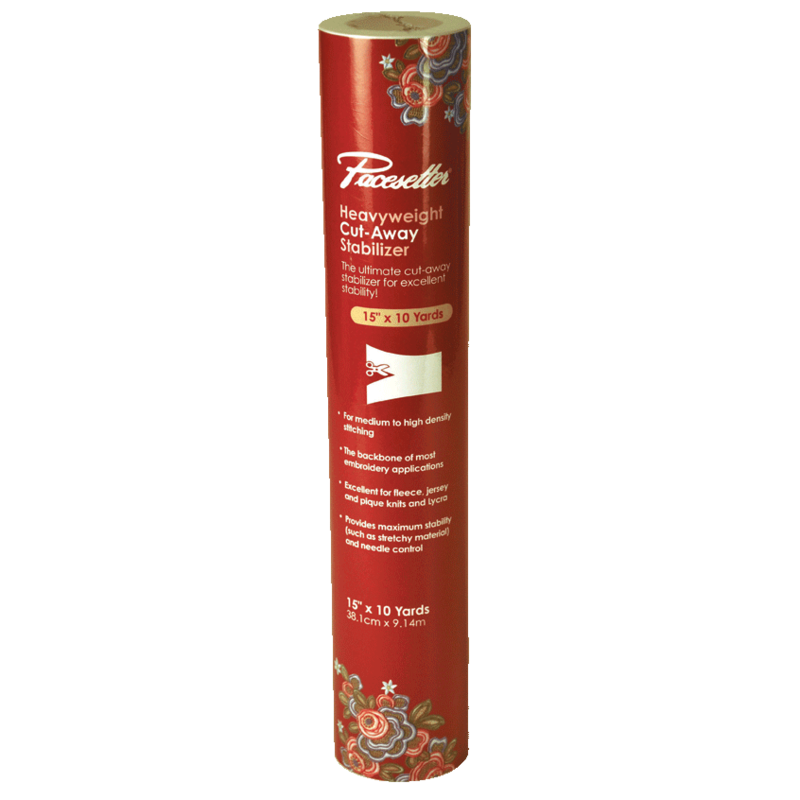 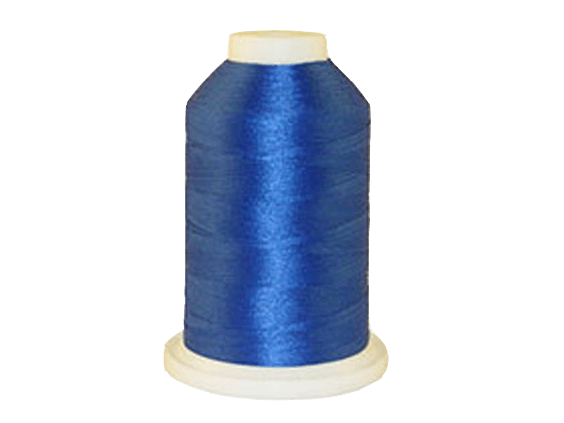 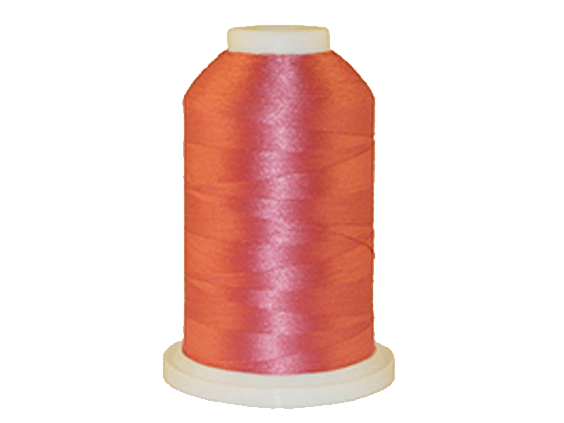 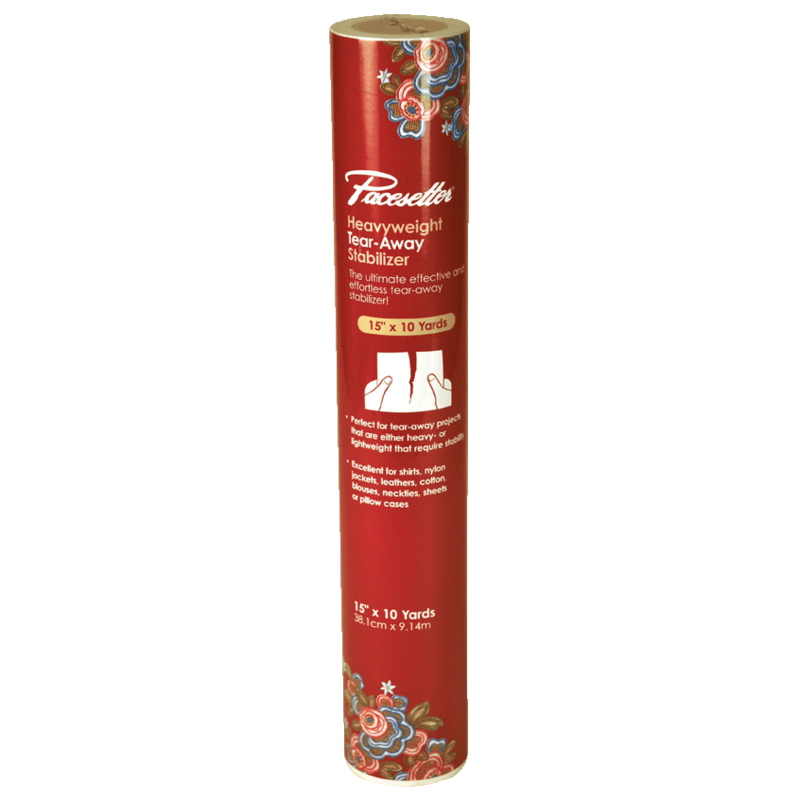 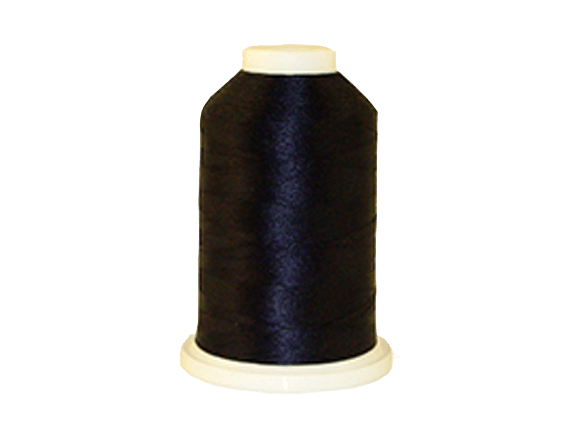 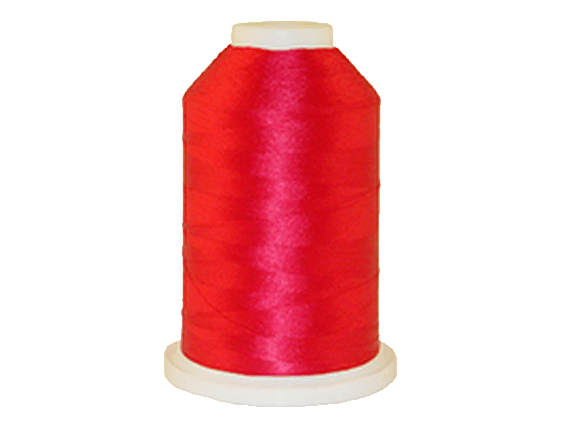 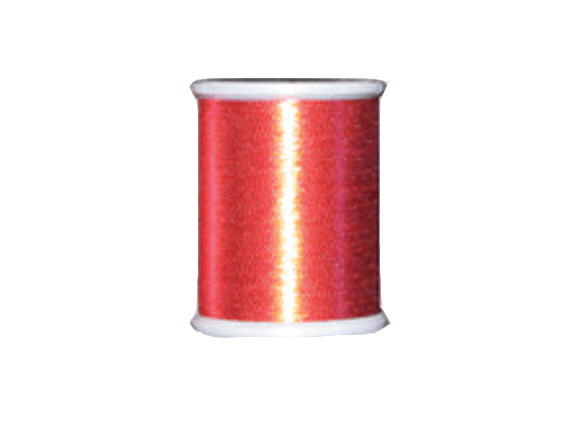 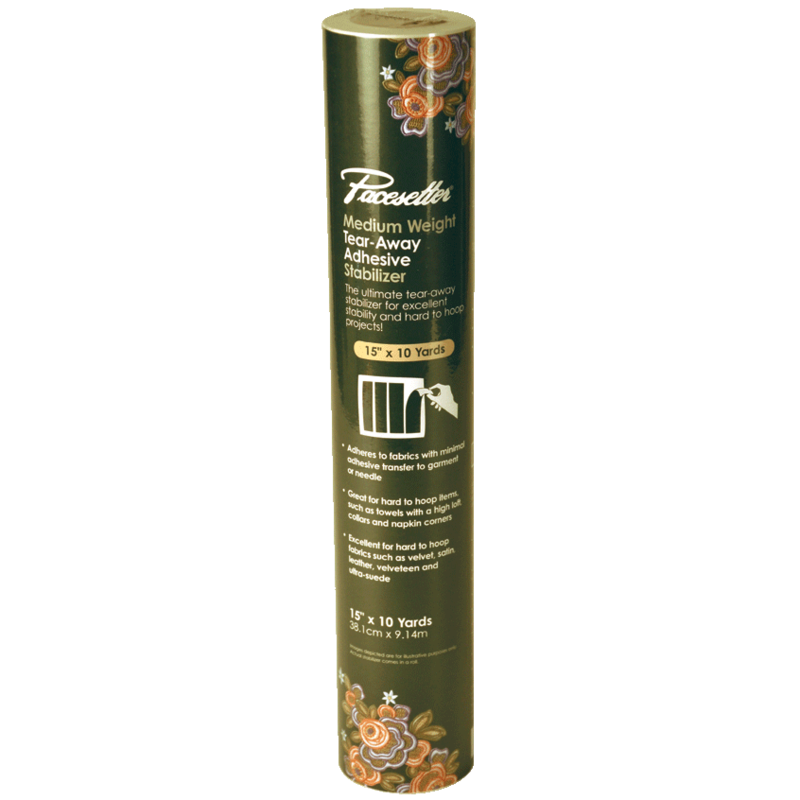 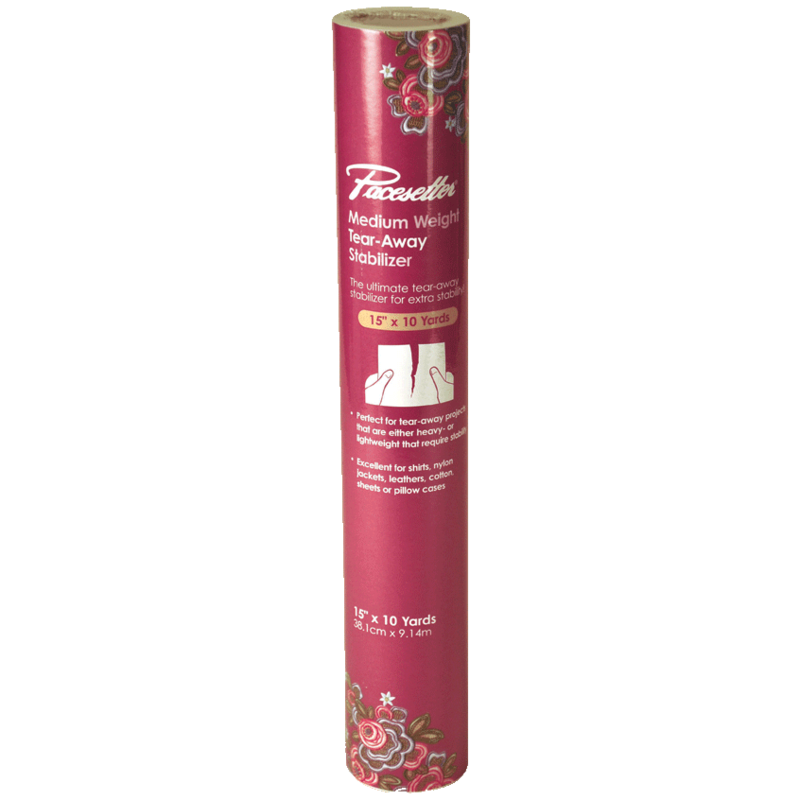 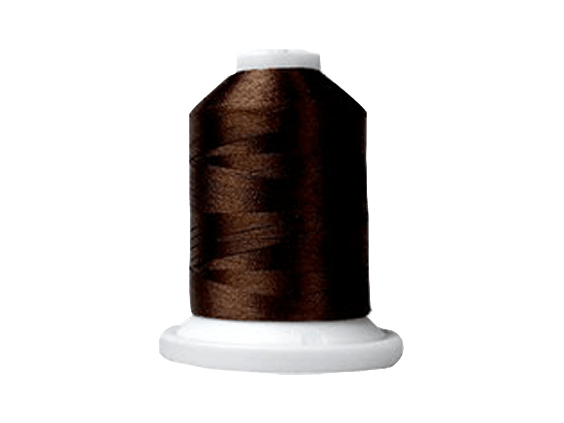 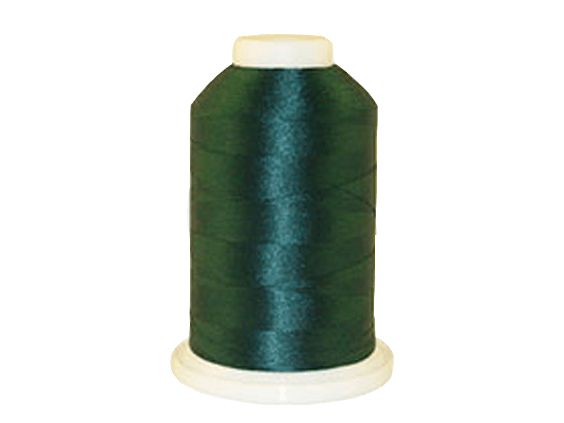 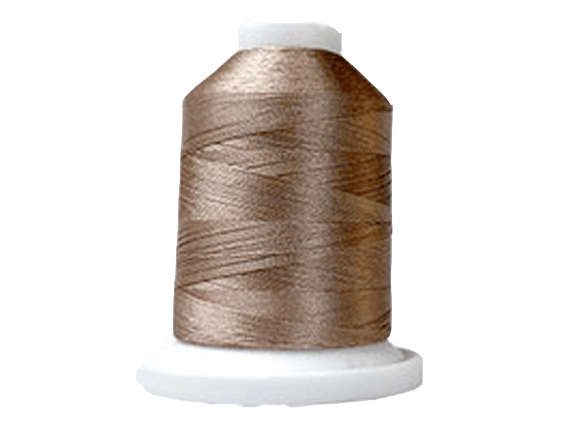 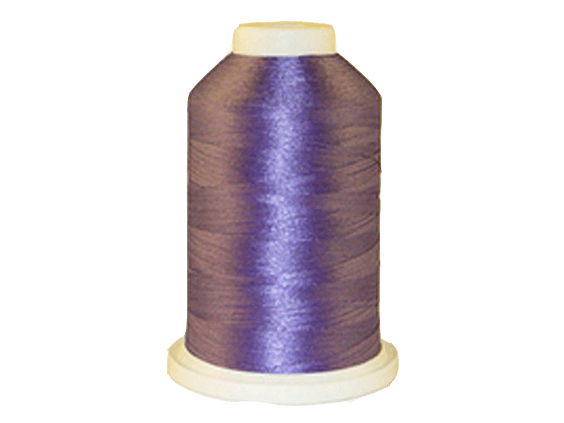 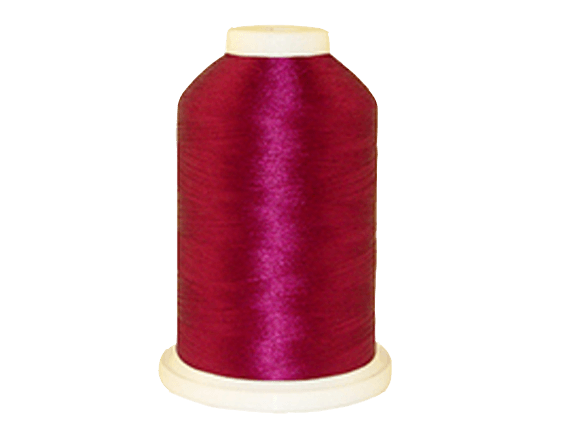 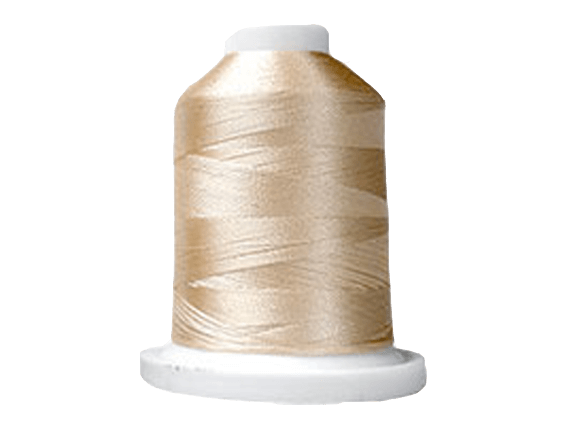 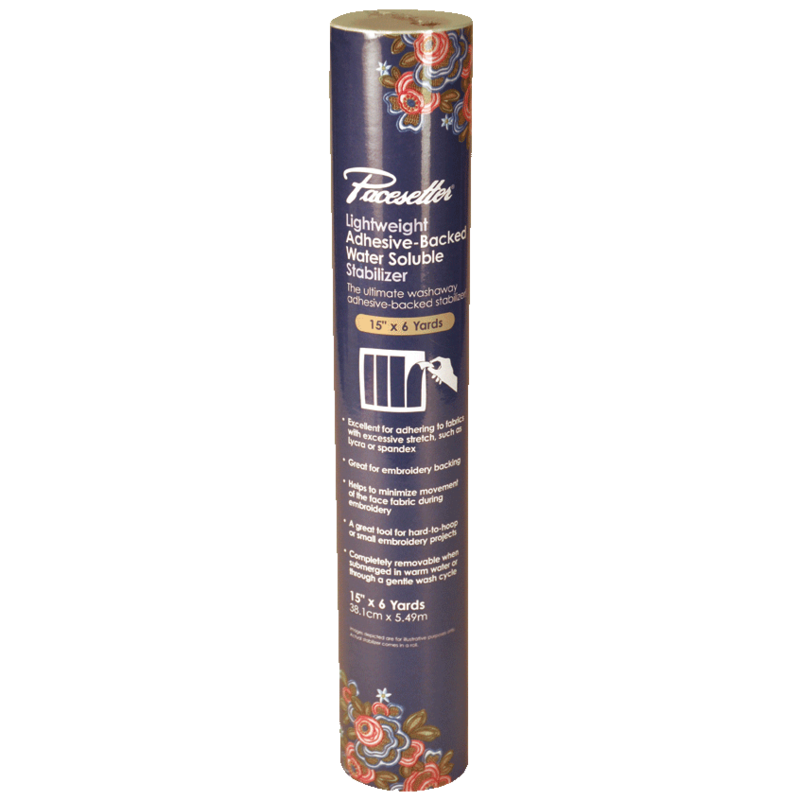 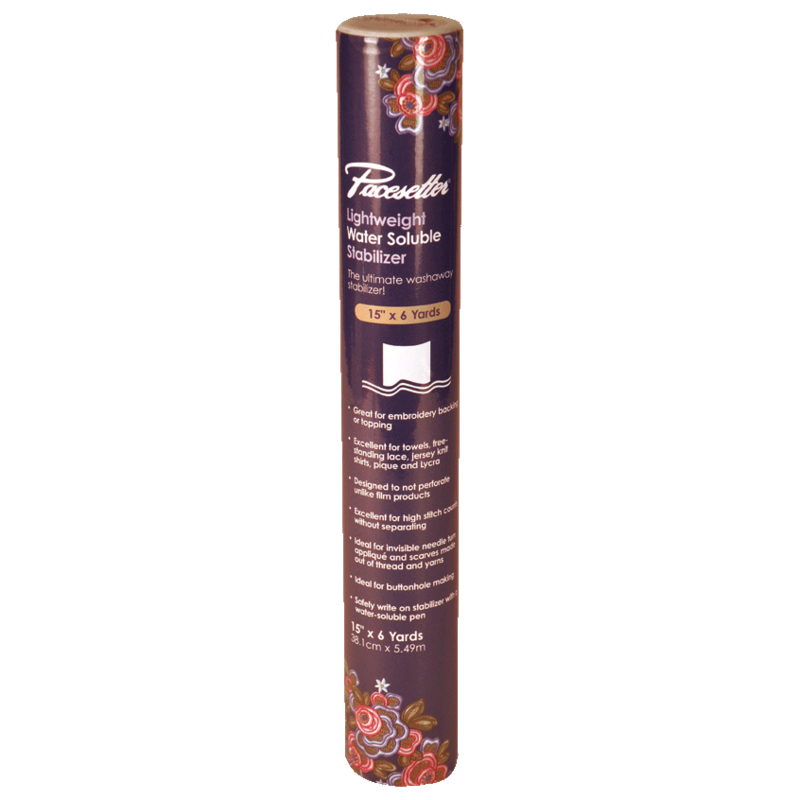 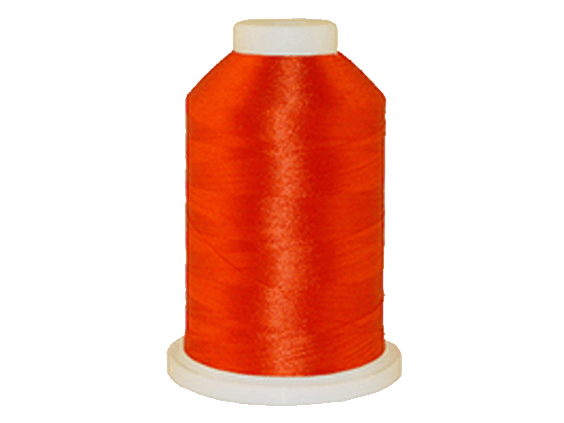 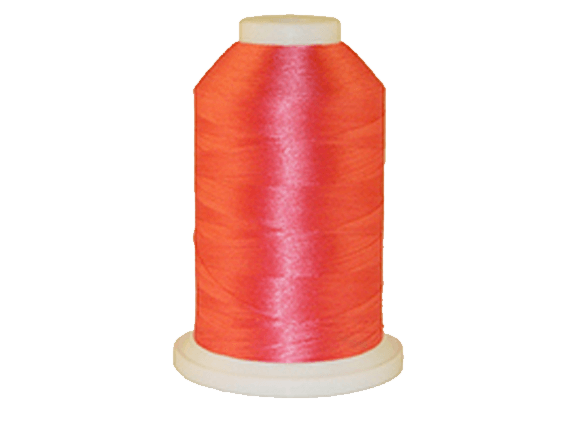 Excellent stabilizer for many different fabrics and embroidery projects such as shirts, nylon jackets, blouses, neckties, sheets, pillowcases, ribbons, and much more! 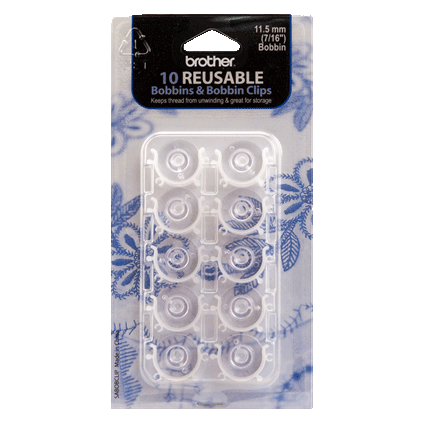 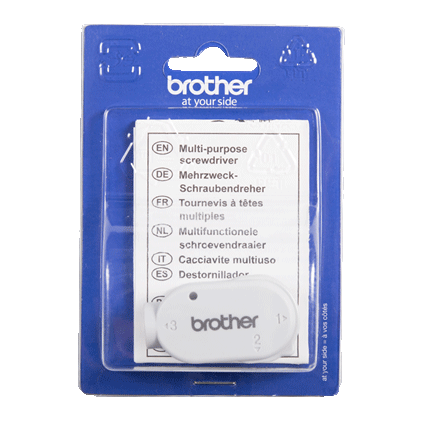 Brother logo on an environmentally friendly (RoHS Compliant) 4GB USB Memory Stick. 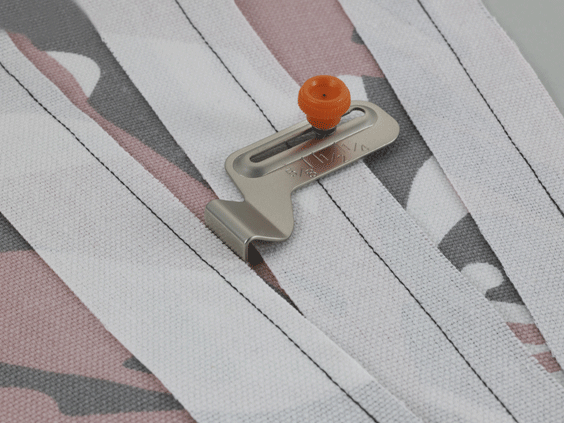 Convenient tab for attaching to lanyard. 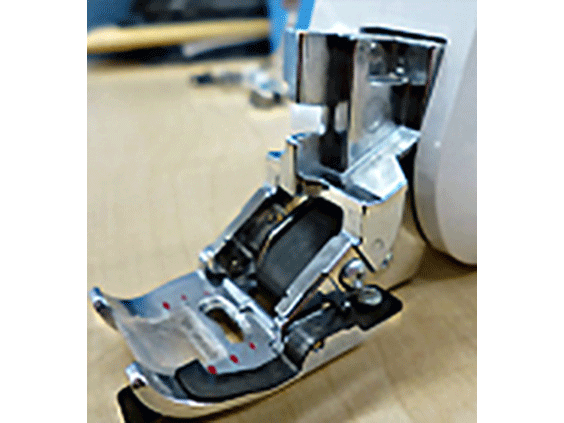 Spins open and closed to protect usb plug-in device. 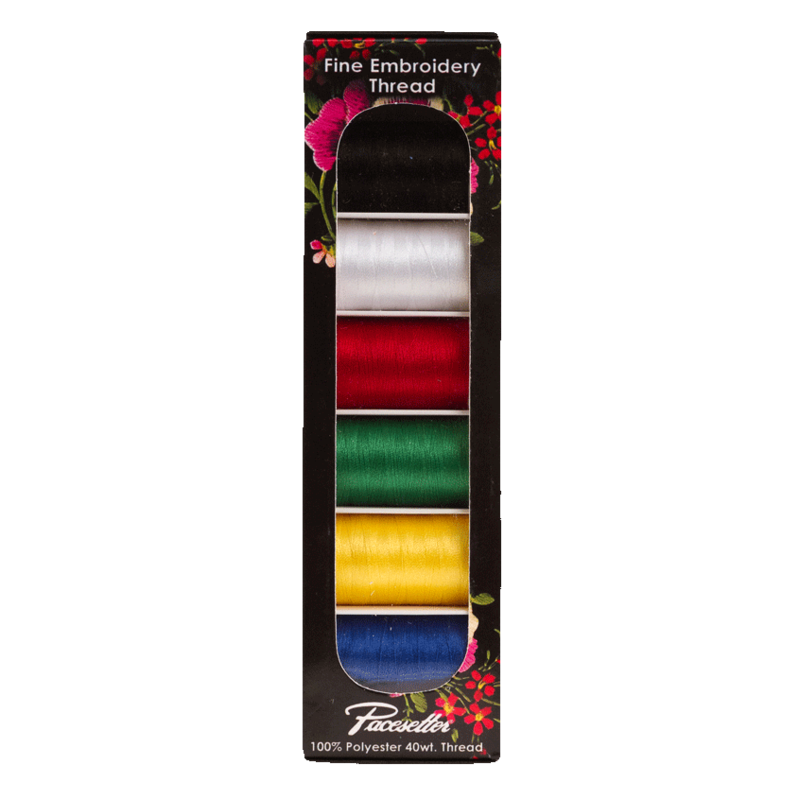 Box of 100 (10-packs) 75/11 embroidery needles. 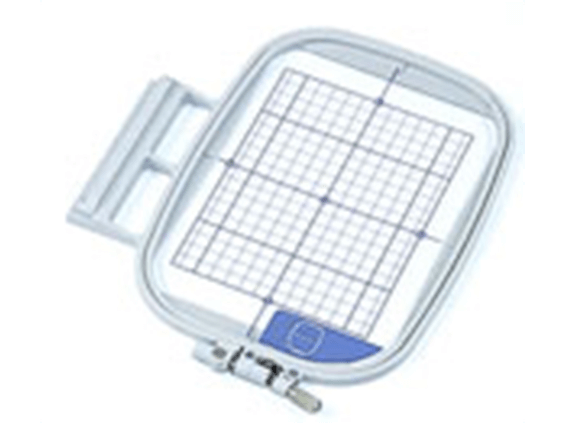 The SA530 Center/ Placement Ruler is a must have for your sewing, crafting, quilting and embroidery! 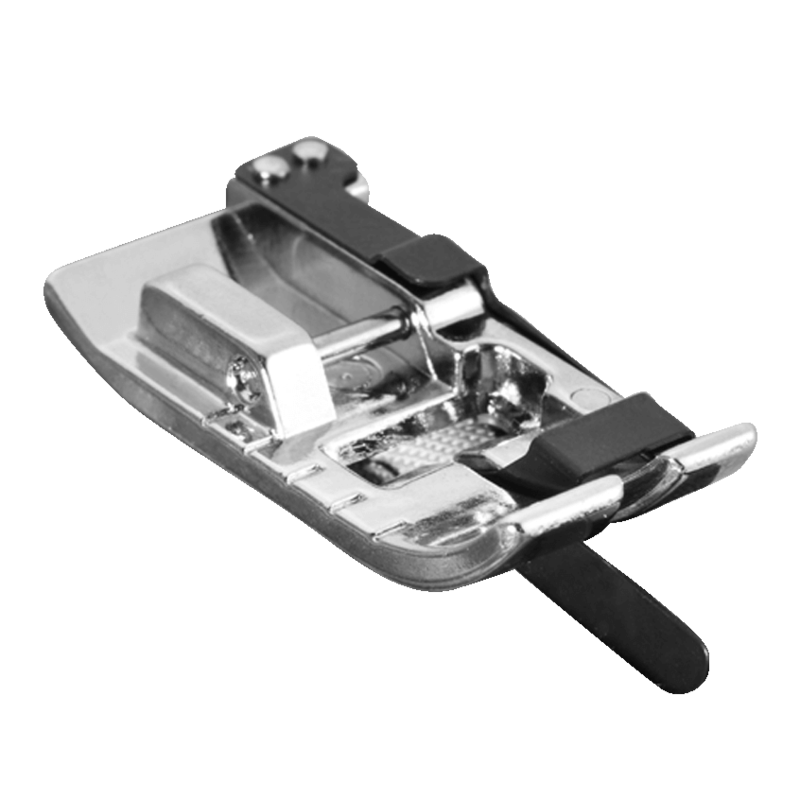 Locate and mark centers of pockets and more in a snap. 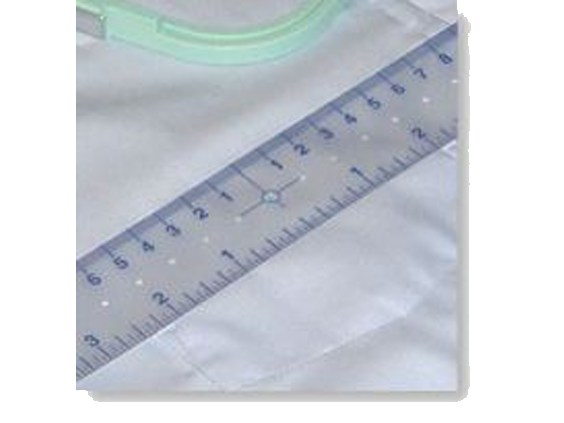 The Center/ Placement Ruler has open circles every 1/2" for ease in marking fabric for placements. 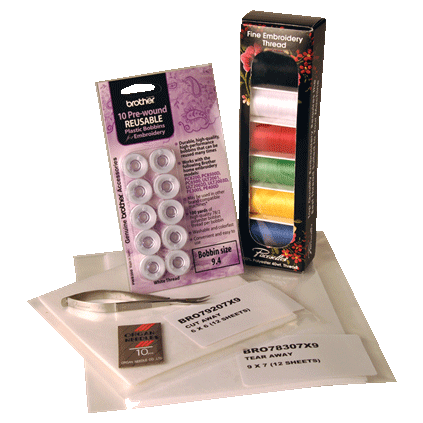 GREAT for creating or marking circles or arcs. 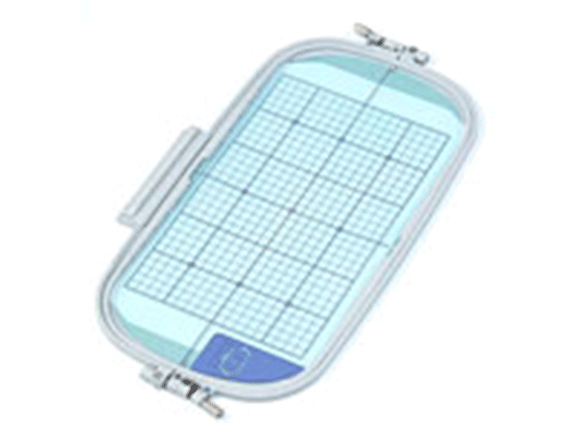 This flexible see through ruler fits into an embroidery hoop for easy measuring and marking.